Sentez LIVE ERP is a flexible, parametric, improvable, reliable, accessible and integrated business solutions platform prepared for middle and large scale companies. Business rules are defined only as needed. Business solutions materialize flexibility and adaptability through parametric structure. A large number of parameter and face value definitions need for meeting the requirements business processes. 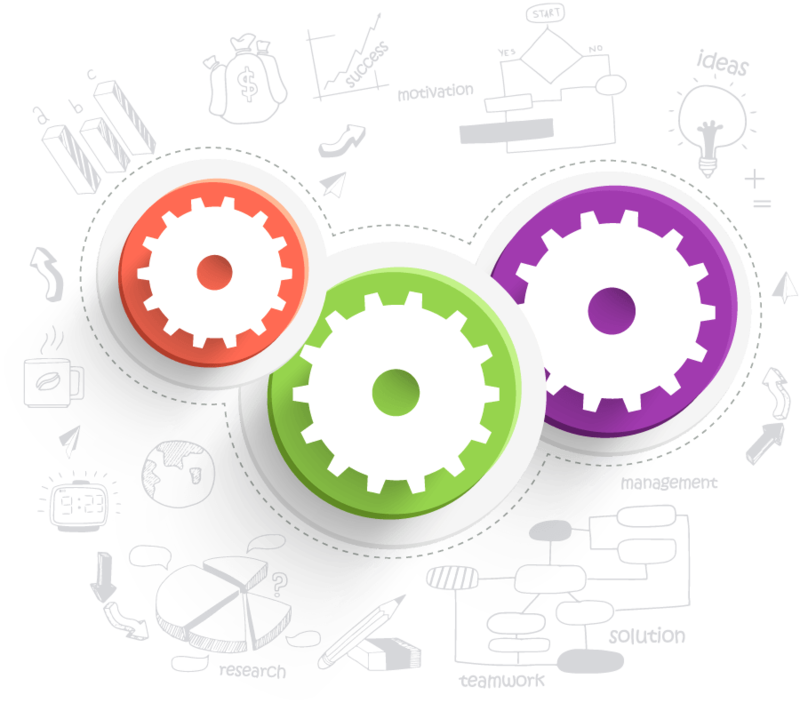 SentezLIVE is regulated logical structure a large number of parameters and values of business process. 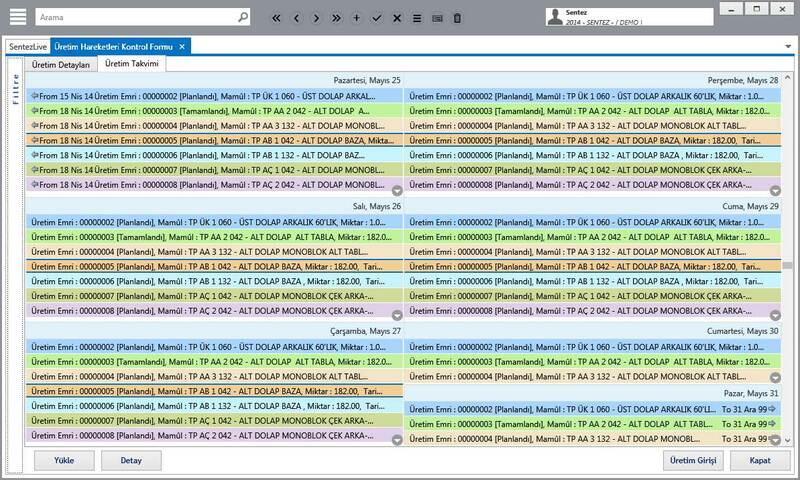 Installation complexity is minimized a solution. R&D activities are approved by TUBITAK. Microsoft.net built on the .NET Framework 4.0 platform that developed with ASP.NET and C # languages. Architectural design in today’s modern software models adopted as MVP / MVVM is used. Microsoft SQL Server, the industry-standard relational databases such as Oracle (RDBMS) that is compatible, performance, data security and integrity designed by SentezLIVE. Extreme programming methods are applied for ensure the required quality and agility. SentezLIVE ERP is the best assistant for developing the strongest, the most appropriate and the most sustainable your supplier relations. 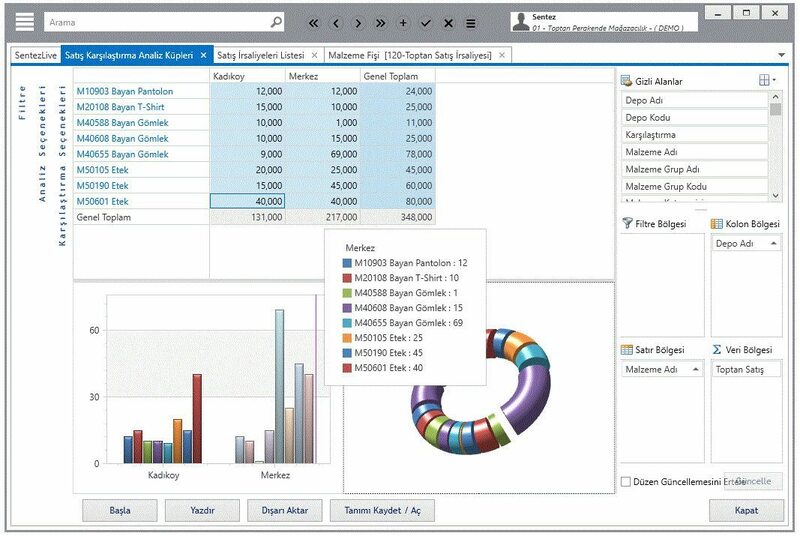 With LiveERP, finance managers can reach easily the data analysis they need. 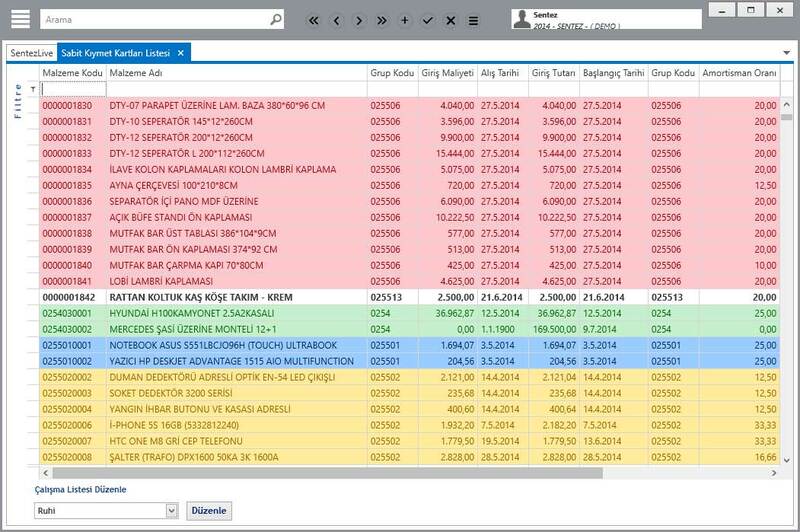 Live ERP presents easily national and international tables and reporting with flexible reporting and follow up system. 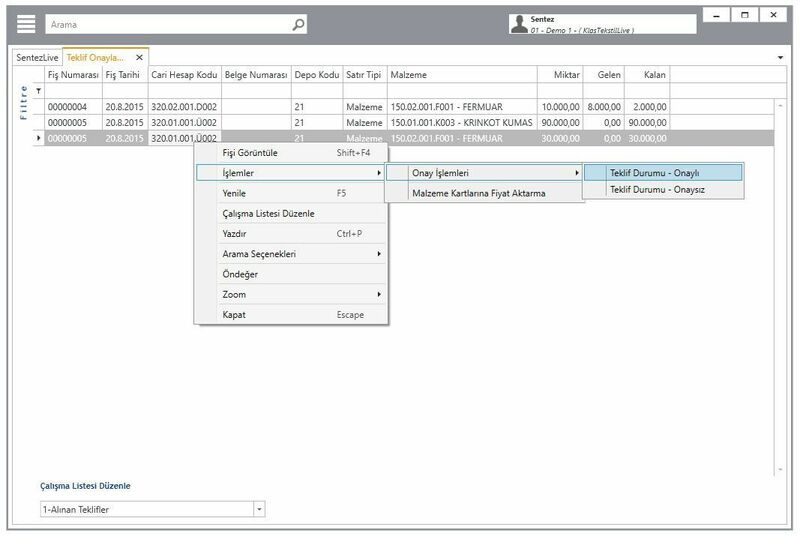 You can follow up complicated belonging to product trees and work order all transaction in an integrated system. It ensures you to plan and manage correctly the fixed assets which forms one of the expenditure items for companies. 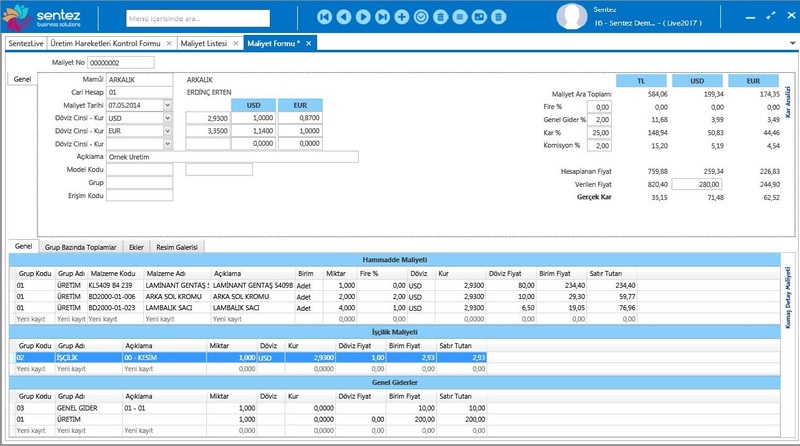 Live ERP business solutions platform designed as business intelligence system including all modules. 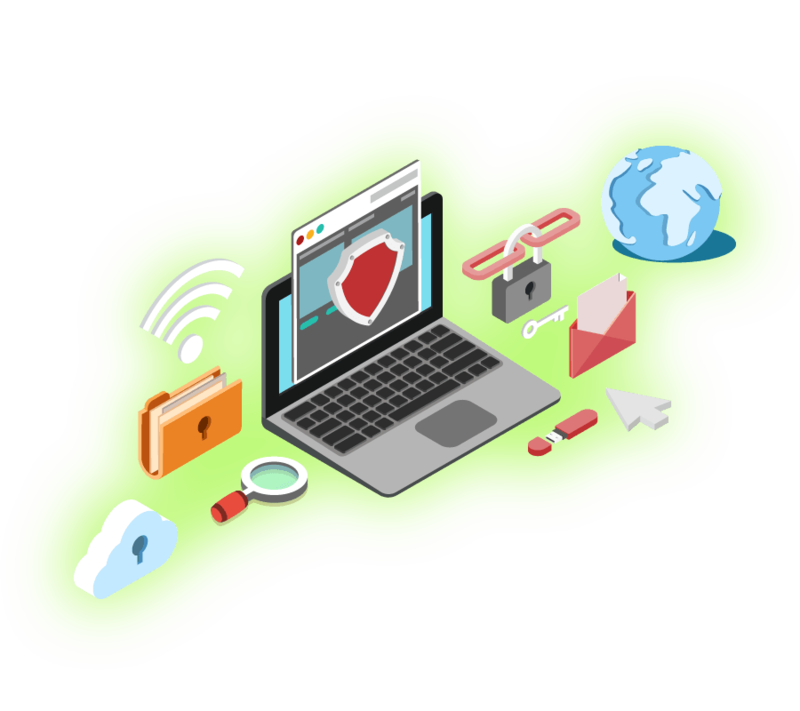 It ensures the management of all legal document and notification tracing from employee's personal information to price calculations. 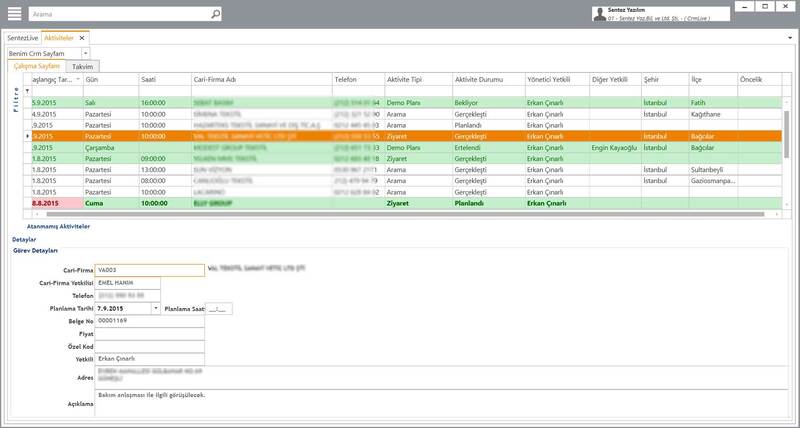 You can define your own CRM rules and can use effectively to customer relations in all business processes of yours. 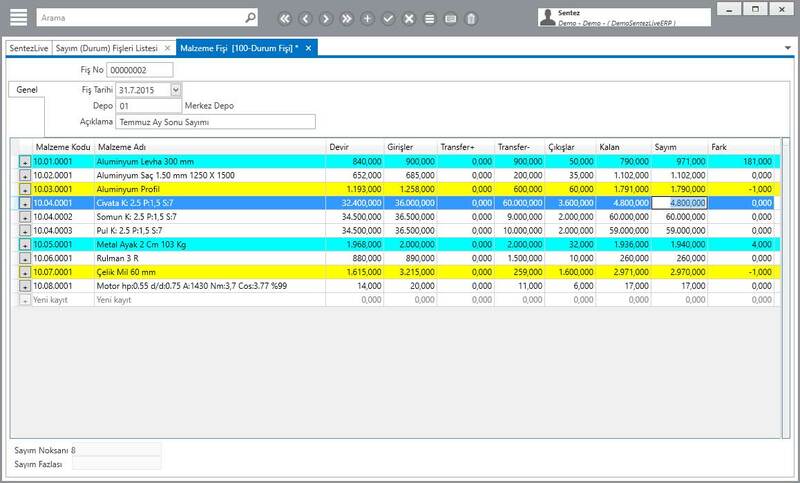 LiveERP business solutions platform designed as business intelligence system including all modules. You can access to your institutional resources with a mobile device anywhere and anytime as you want. You can manage your far locations without any internet connection. It ensures productive using of resources with actualization of invoice and ledger processes in an electronic platform. Nowadays, one way to make a profit of the company is going to win while it’s buying. Purchasing activities and supplier relationships are also gaining strategic importance from a supply chain management viewpoint. Companies for the development of the strategy will provide a competitive advantage Relationships must be managed in the most efficient manner with suppliers. Supply chain management process of purchasing management an important function is significant to buy strategic transition without buying operational. SENTEZLIVE ERP is your best assistant about the most powerful, most convenient, most sustainable supplier relationships and develops your risk management. 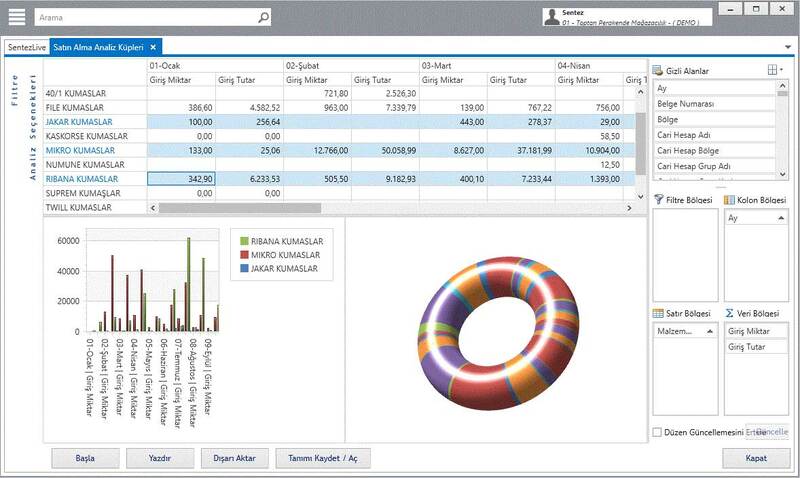 Scope of performance monitoring, you can evaluate that can occur your suppliers who is open to improvement. You can make custom analysis of your business partner with supplier performance analysis for the most efficient and accurate managing of supply sources. All business processes of starting from proposal to delivery are collected from suppliers is enabling you to track and intervention. For material, you can determine unlimited number of supplier’s price and lead time that can analyze the bids by collecting bids before buying. You can pursue to purchase contract with you did with your suppliers. A supply Chain Management form function is underlying. Raw materials, auxiliary materials, semi-finished and finished products are activities intended the costs to be supplied at the appropriate time. DireInadequate of Material Management brings to halt operations and causes increase of direct and indirect cost. On the other hand, it causes customer loss, image loss and marketing loss. 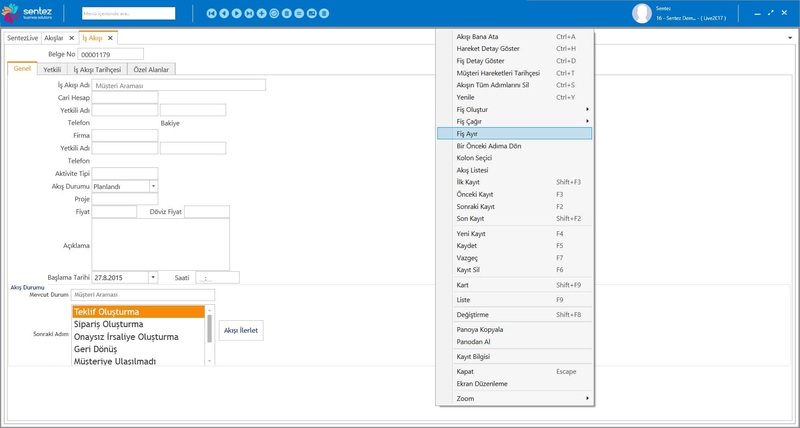 kt ve endirekt maliyetlerin yükselmesine sebep olur, diğer taraftan müşteri kaybı, imaj kaybı ve pazar kaybına neden olur. At the same time, it creates unutilized capacity. The remaining workforce and the remaining machines is significant cost item for operations.The importance of materials management is better understood when the amounts are not supply company needs and operations are not on the time. 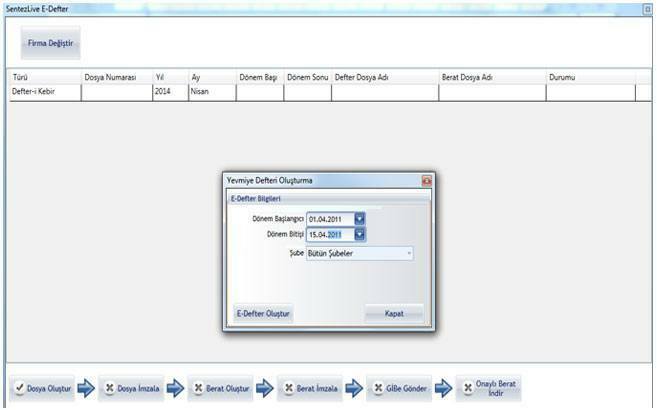 Thanks to SentezLIVE ERP, you can shorten cycle time thanks to demand from different departments in your company and using of manufacture planning date. You can determine taking into account the carrying cost to critical and optimum inventory levels, order cost. You can be classified according to their use and purpose instead of your material; you can select different materials warehouse management rules in some. You can manage the transfer of material between different spots depending on business such as workplaces, warehouse and store that you can track your shipment and transit of goods. You can define as many alternatives materials such as range, variant, storage location, alternative materials that can track and manage thanks to describing. 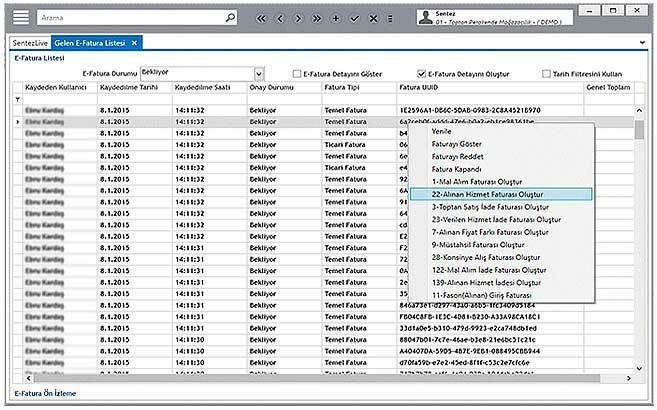 You can define unlimited number of volume set, feature set, barcode and can provide material’s movement and management on many number of details and variables. Sales distribution channels requires to steer more efficient and effective with growth and increasing competition in the market. SENTEZLIVE ERP, increasing of sales distribution, providing both functional and strategic management of the process with customer oriented approach. 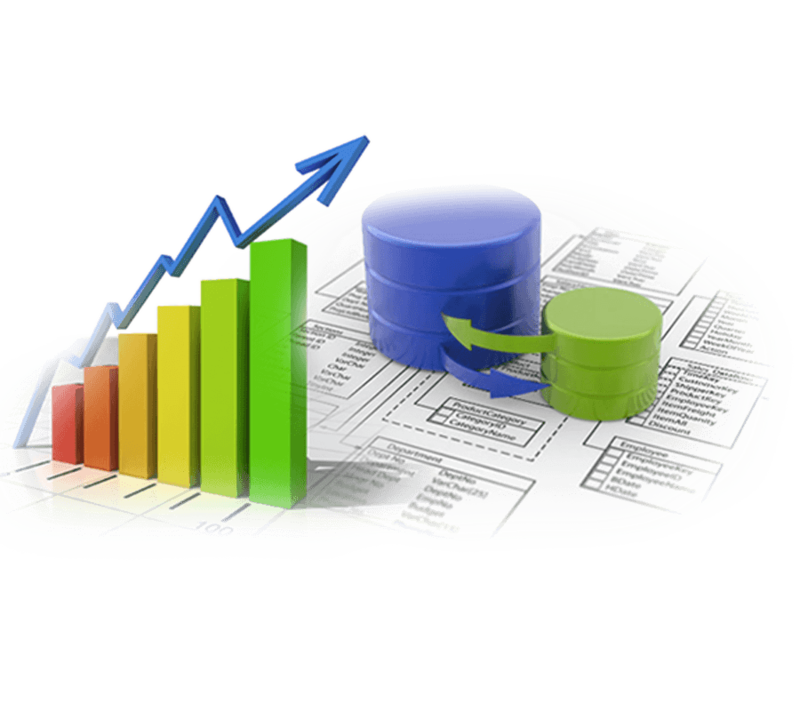 Thus, you can access all the data you need to increase the profitability of your business and sales performance. In addition to, it allows you get detail and flexible analysis and statistics. Sales and distribution management involves all business processes such as products which are sold or services of retail or wholesaler from order stage until customer deliveries. With warning and disruptions, you can notice previously and presents tools to take the necessary measure. 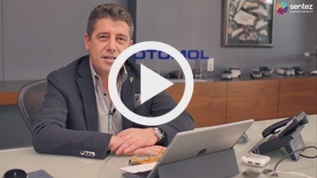 Dealer distribution network sales data provide speed management under the control thanks to our mobile sales and B2B applications that support the effective management of sales and distribution channels. Also, you can check your sales representatives in the field that can determine your optimal sales strategy. The best campaign management tool is increasing sales and raises the level of customer’s interest for companies. Thanks to SentezLIVE ERP; definition of your campaign in certain regions, cities, or you defined according to customer categories and product categories can definable and manageable. 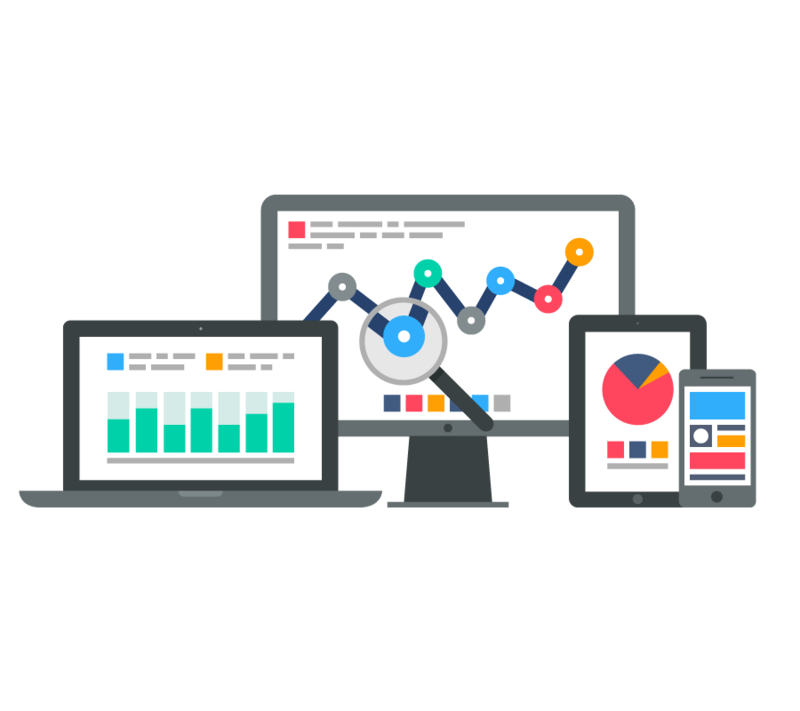 You can receive all vital statistics as how do perform your create campaigns for the period you specify, you can then conduct a campaign to pause moving again. When you create a new campaign, by analyzing the previous campaign performance and customer preferences, you can create campaigns towards the right customers. Customer Relationship Management (CRM) by using you provide from your database using the right product, you can provide targeted campaign management by identifying the right audience and the right strategy. Customers can measure their interest in the campaign and measuring the return by your sales campaign, you can ensure to be more successful in the next campaign with you have provided t the effective campaign management. 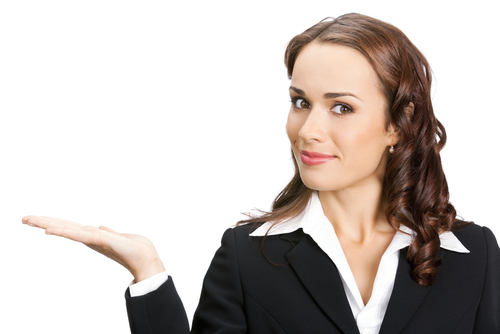 The most important point of offer management is errorless offer. 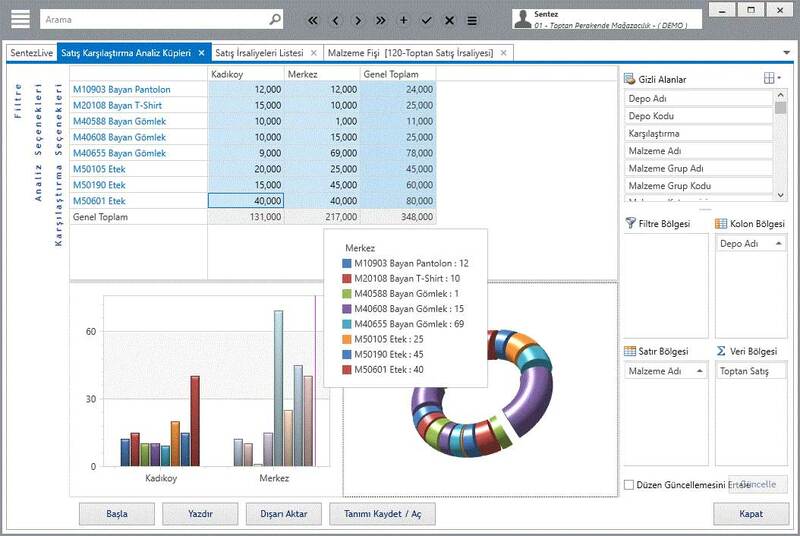 SENTEZLIVE ERP offer management design for speed and easy to prepare bidding and managing successfully. With Offer method, working business' that one of the most times a spent job is prepared offered and the follow-up process after presenting an offer. The revision offer, preparation of alternative proposals, and offer- order rate of return and pre-sales process managing well is quite important. offer Management according to customer requirements, meticulously crafted, visually appealing submission of bids to the customer directly affects the return on sales of the proposal. 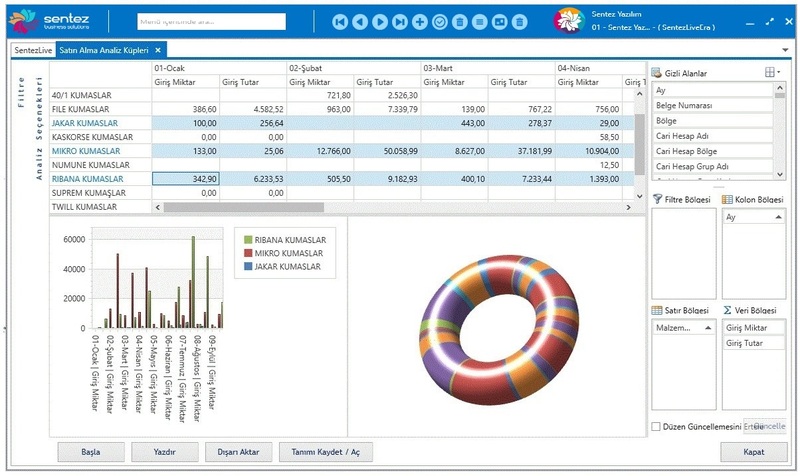 SENTEZLIVE ERP provides opportunity the reporting of a given product offerings, monitoring of turns ratios in order, to measure seller performance. It provides a high level of control that making presentations to customers with proposal by the administrator defined in the system. Shipping Management is the most important component of Materials Management. 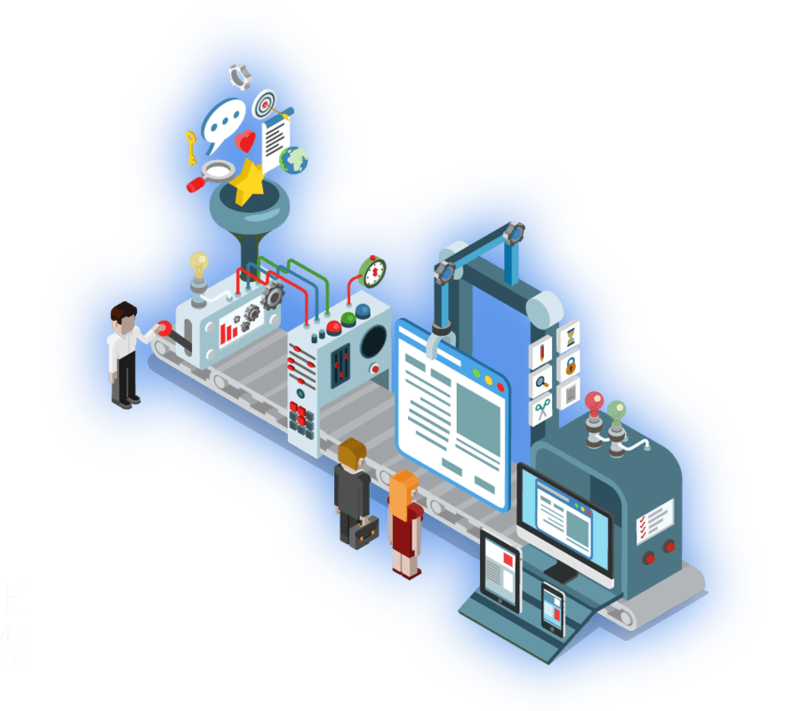 Customer the right product at the right time, to be delivered in accordance with the customer's request, it is possible with effective and powerful contact management. Shipping Management will be possible to realize an efficient and error-free with accurate shipping planning.. Shipping Management; carried out in three stages such as shipment planning, shipment preparation and shipment tracking. 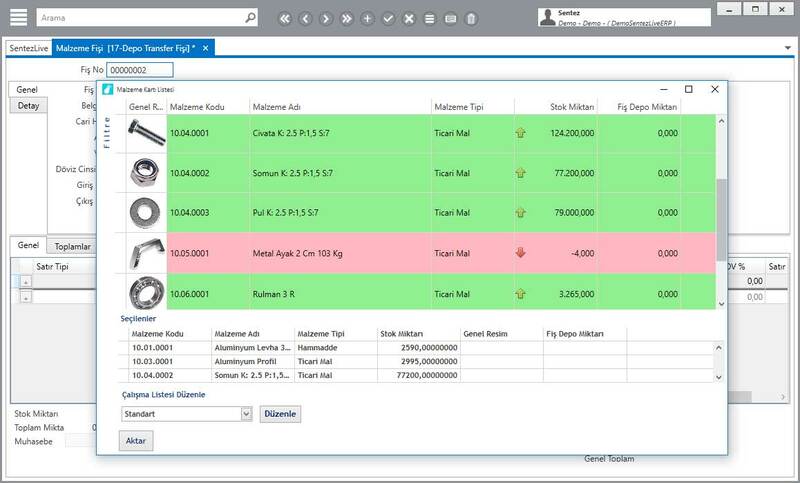 SENTEZLIVE ERP, Shipping planning allows the realization of keeping the referral of the most accurate and reasonable shipping costs thanks to products of consignment , on the promised shipping date, determining the capacity and tools, definition vehicle route, in accordance with the customer's request. Using mobile application of Shipping Management provides delivery of the products quickly; complete shipping of products vehicle and accurate shipping, delivered to the customer. Therefore, labor and loss of time due to the product’s inability to get timely and accurate is hinder. It prevents mishaps every warehouse supervisor sees of its own delivery orders and provides process by creating a work order of products. The carried risk your company is measuring accurately in increasingly competition conditions, it will ensure you that taking necessary measures and using your financial resources more efficiently. 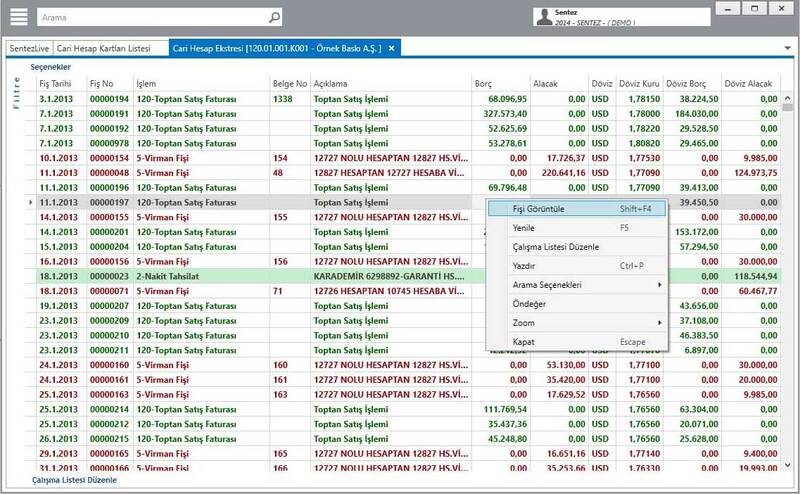 With SentezLIVE, Finance Managers can accessible easily the data analysis they need related to predicting the future and past evaluation, taking all financial decisions with investments or financing for capturing rationality and giving the right decision. Financial data not only effective in board of directors financial decisions also effective in marketing, manufacture, human resources, R & D and all strategic decisions about the company. It ensures you to determine different exchanges for reporting. It ensures to report the amounts entered in local currency or exchange automatically as transaction exchange.. It ensures you to create your cross operations error-free thanks to operation transfer services between your companies. Also, ensures to transfer a document registered as sales document for your company to your other company as purchase document. You can keep records according to legislation of our country thanks to flexible integration structure with all modules. You can make processes according financial legislation of our country with general accounting module. Cost centers management can track detailed monitoring of cost and projects of the company flawless. 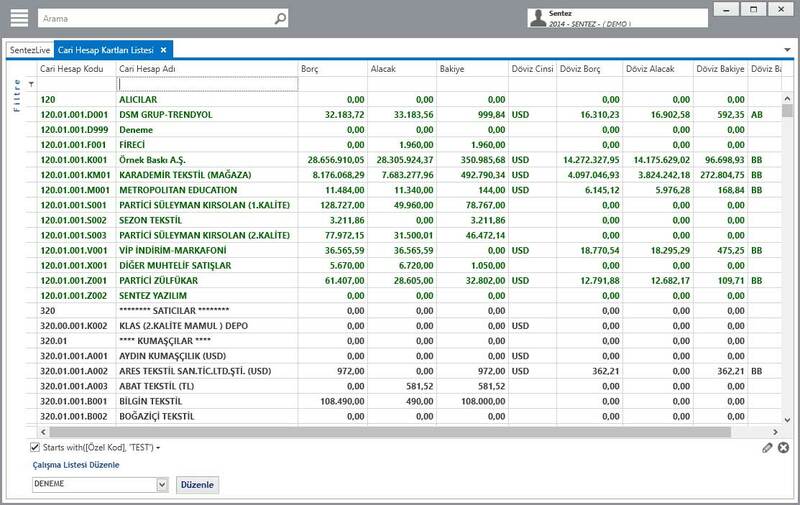 You can prepare and track all kind of needed financial table and flexible report. Program has got structure to meet all national and international financial requirements. LiveERP provides defining account plan of your company. It provides doing your processes by using different kind of foreign currency. It provides calculating and reporting automatically of the amounts entered as native or foreign currency as currency transaction. It provides determining for different kind of currency. 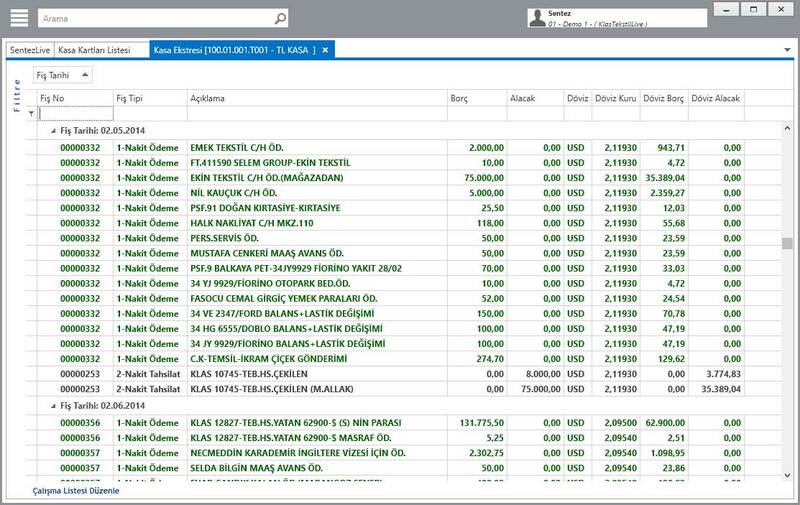 LiveERP provides to follow up currency transaction and reporting currency in the same table. 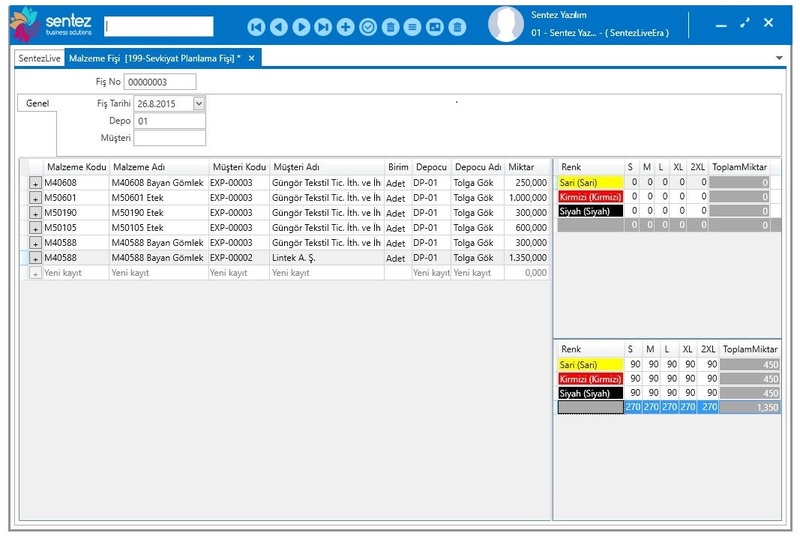 It provides arrange tables like balance or profit-loss or cash flow of your company. It provides creating your cross processes flawless thanks to process transfer services between your companies. 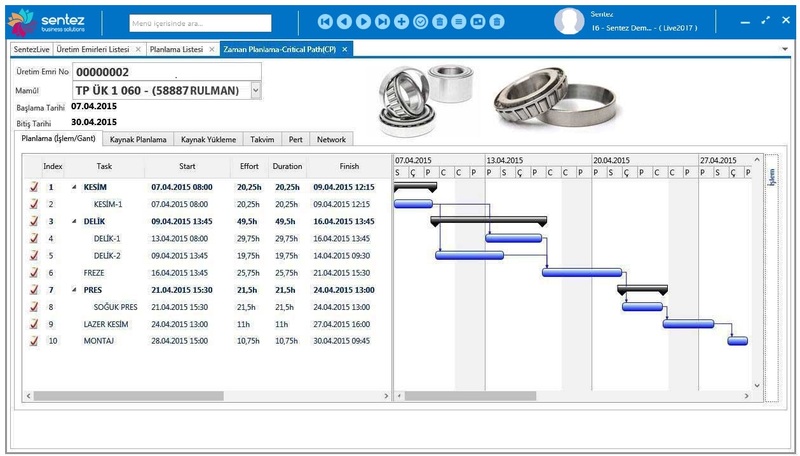 You can define complex bill of materials and you can follow up processes for work orders, materials, semi product stocks, wastages, scraps and alternative uses in an integrated system. 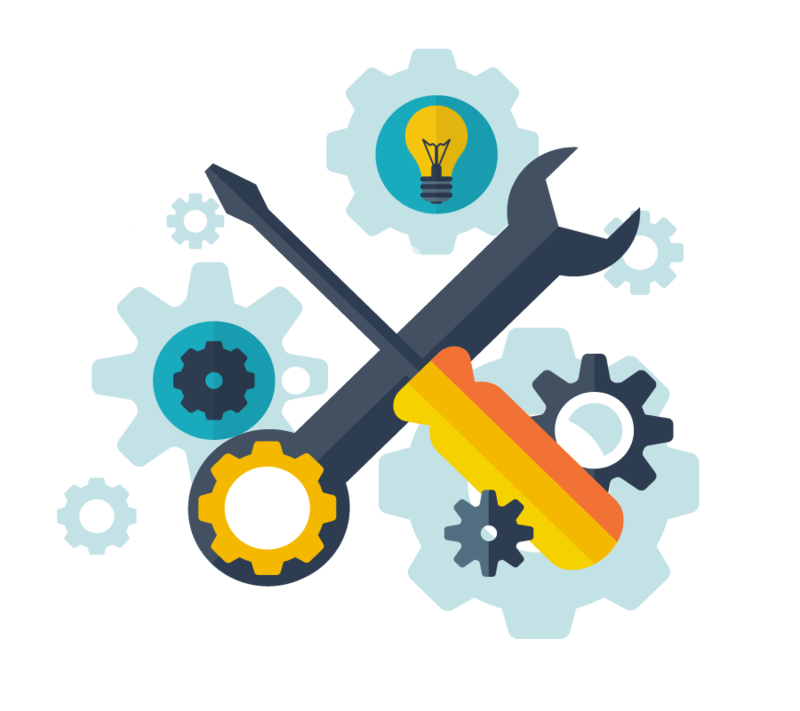 You can define easily your complex bill of materials by structure containing all functions for full control of production process in your company. 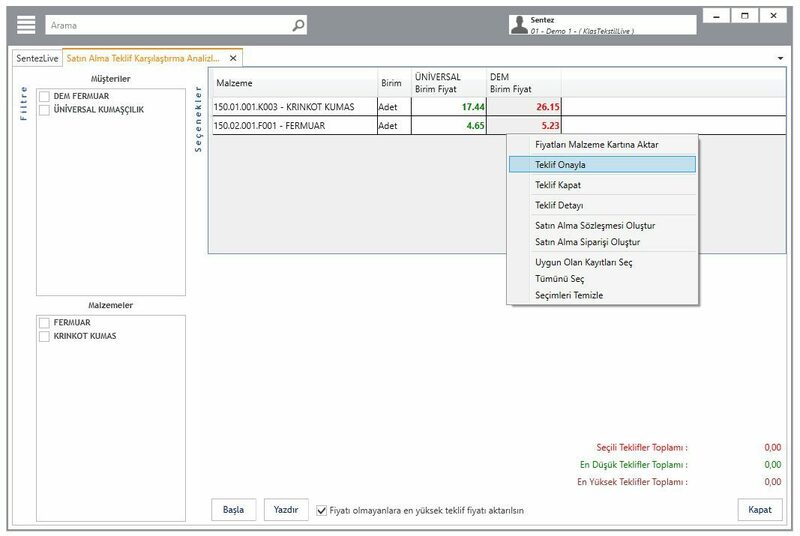 You can follow up processes for work orders, materials, semi product stocks, wastages, scraps and alternative uses in an integrated system. Also it can be integrated to barcode and DFID systems. That gives you can follow up your projects step by step and real time process of your company. You can perform production activities according to different kind of production methods such as customized production, stock production etc. It is associating production order by associate with project. By this way you can follow up easily production order on project basis. You can carry out start and finish dates and perform planning activities. 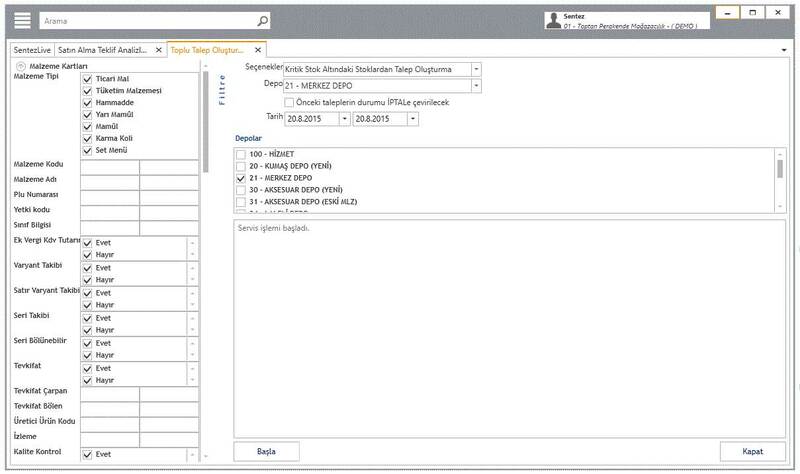 You can create automatically work orders and set instruction forms from production orders. You can do outsourcing (fason) for every single operation and prepare agreement forms. 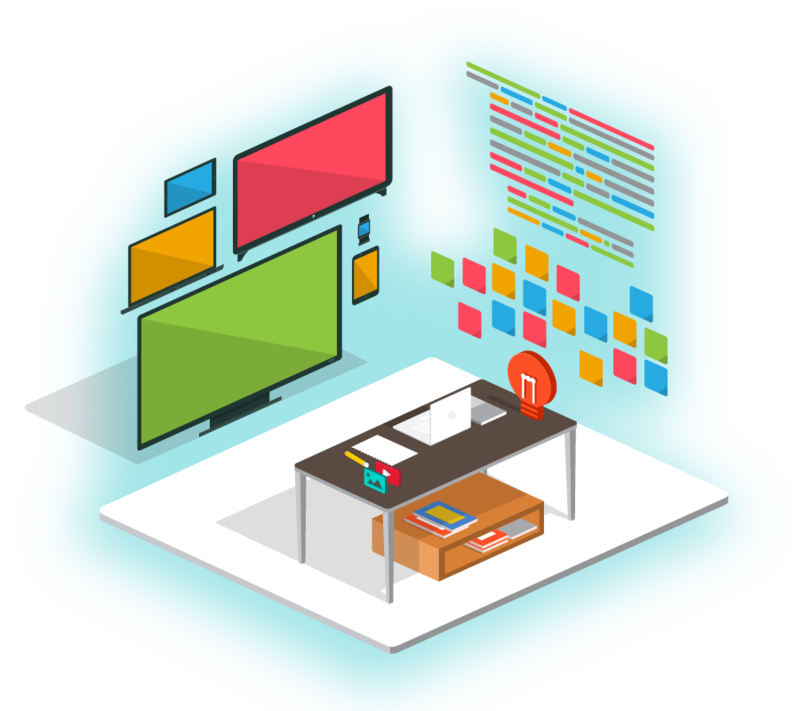 You can add working drawing, technical documents, picture of product and every kind of document that sent by your client as many as you want to work orders. You can add and follow up external route operations to work orders. 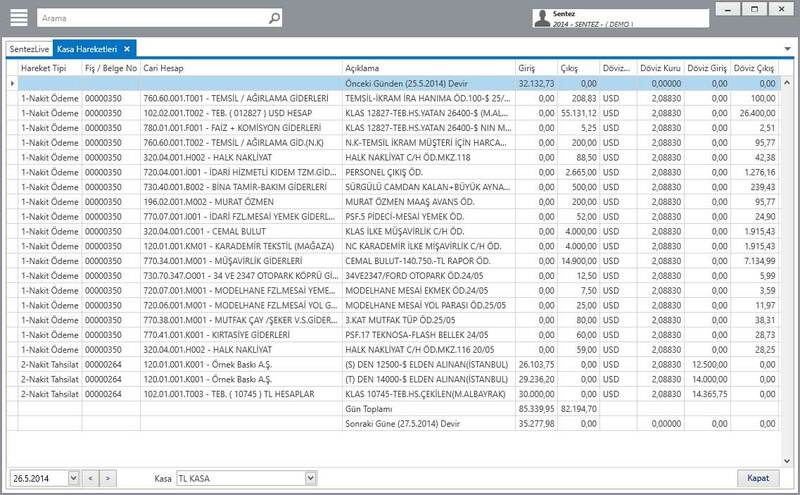 You can define unlimited amount of detailed bill of materials (BOM) related to semi-finishing and goods to be produced. Thus you can overhaul against changing situations. 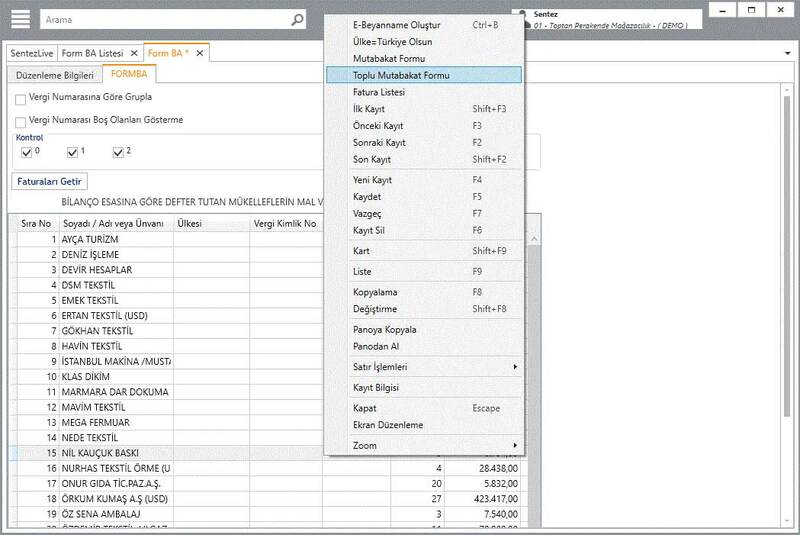 You can follow up cost according to the method of determining the cost of prescriptions according from bill of materials.. According to client order, a certain product order or a group of production order, you can make the MPR works. Operation in route of production order partaking, advance manufacturing provides displaying to Gantt chart with assignment method appropriate your company. 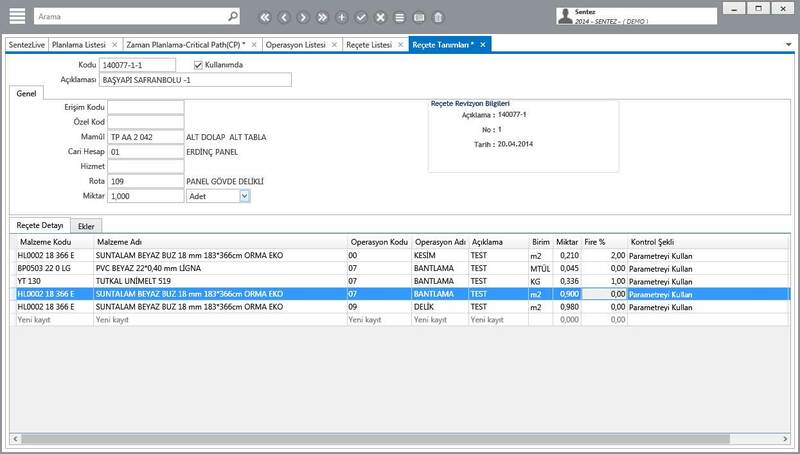 This program can make MRP outputs by using information of stock in process, operational status information, requests of open purchase, sales order and sales reservation information. Thus the program provides to create master production schedule (MPS). 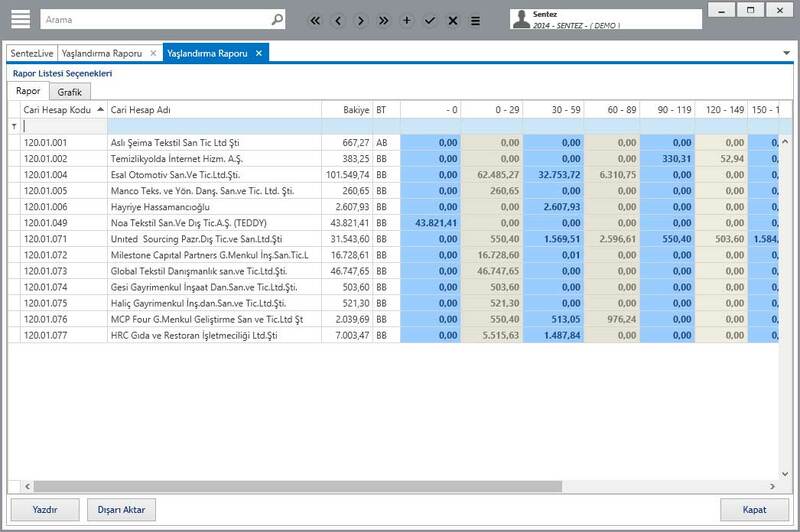 You can determine differences by using planned and actual output analysis making by this program and you can decide on corrective investments. 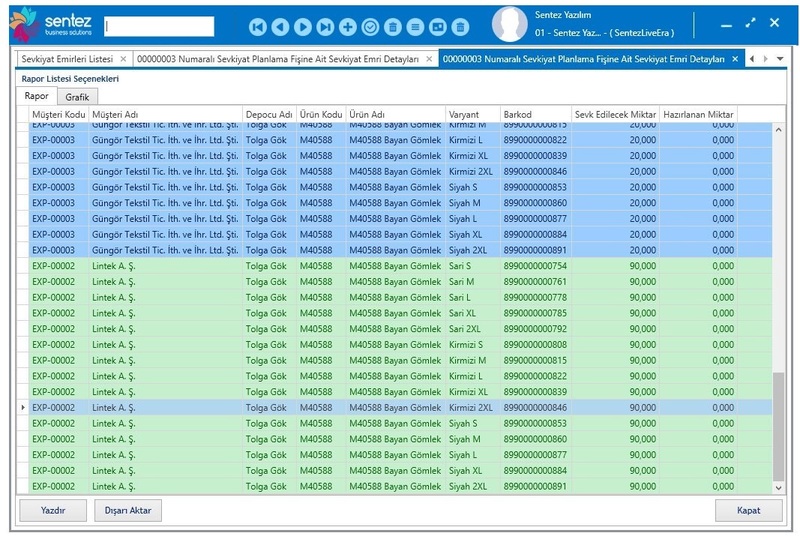 You can follow up operations that depends of work orders and machines and operators in online by using production order with barcode follow up. 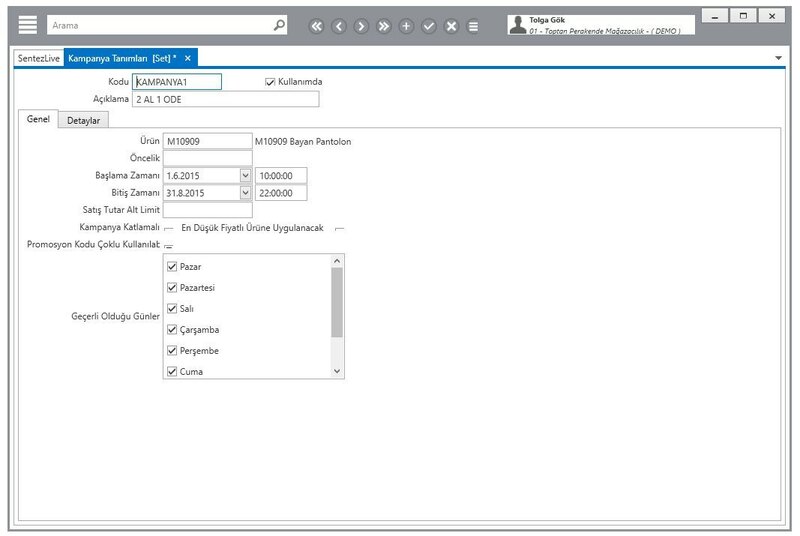 You can enter information that which operator and resources used for steps in production order, with barcode or manual. The collected data from the field provides to determine work standard time, defines operation process time for related machine and saves method of making of operation in the system. Thus you can make standardization activities. 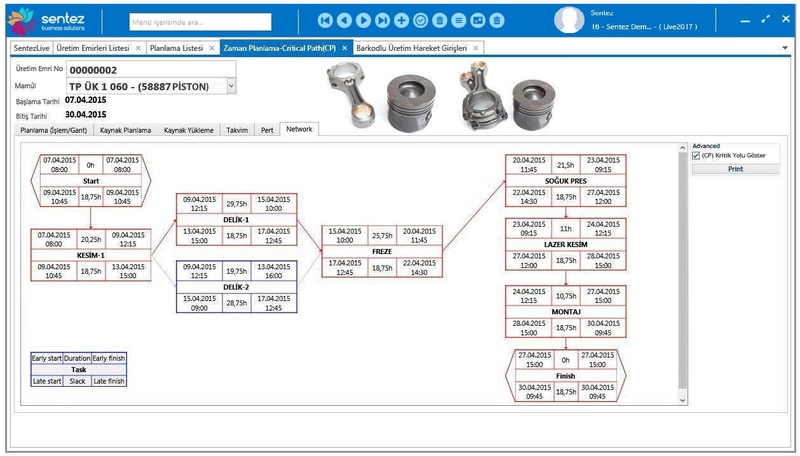 You can perform maintenance planning activities by used prepared statistic by this program that saves stance and malfunction information of machine-tools in system. This program provides to reduce losses caused by stance. This program provides to display transiently production from other units. You can stop faulty production and provide flawless production by control route. You can stop entering new production to machine that’s already run. You can make business performance analysis and perform work study and productivity activities by effective follow up production activities. You can follow up lost time on the basis of production line, job station and staff such as power cut, job waiting etc. 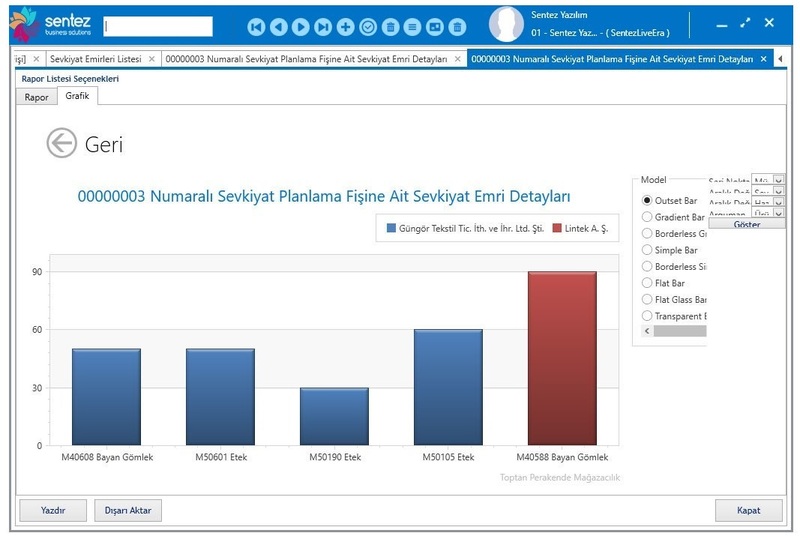 You can improve trim and contribution systems by performance analysis according to staff perfection. According to customer order, a certain product order or a group of production order, you can make the MPR works. 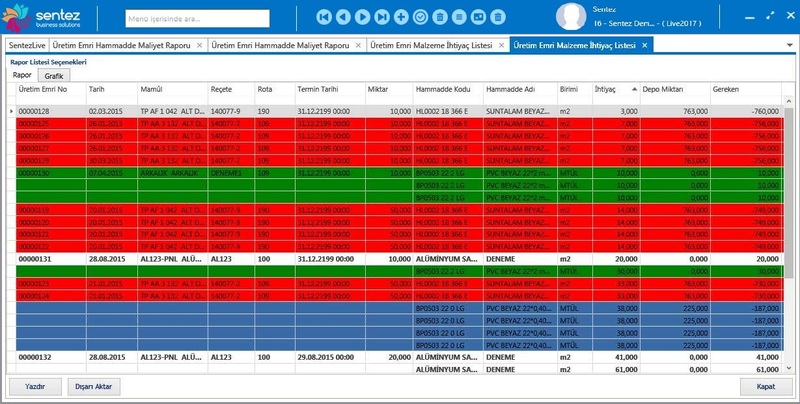 Live ERP can make production scheduling by using occupancy rate information of machine and machine-tools. Thus it provides to load rightly your sources. 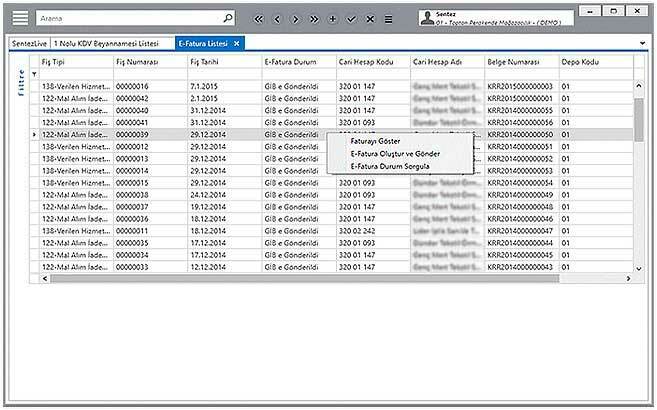 You can follow up operations that depends of work orders and machines and operators in online by using production order follow up with barcode. You can perform prorated work given for machine and staff by production line stabilizing treatment. This program provides to save statistics that will be used for in entrance examination and last quality control, quality control by sampling. This program provides to reduce the error rate of finished goods from last quality control to become final good. Conformity to standard of quality of acceptable finished goods ‘provides the control research interlude control with scoring of each type of error before produced finished goods’ customer shipment. This program provides to save quality control outputs of production order and work order. 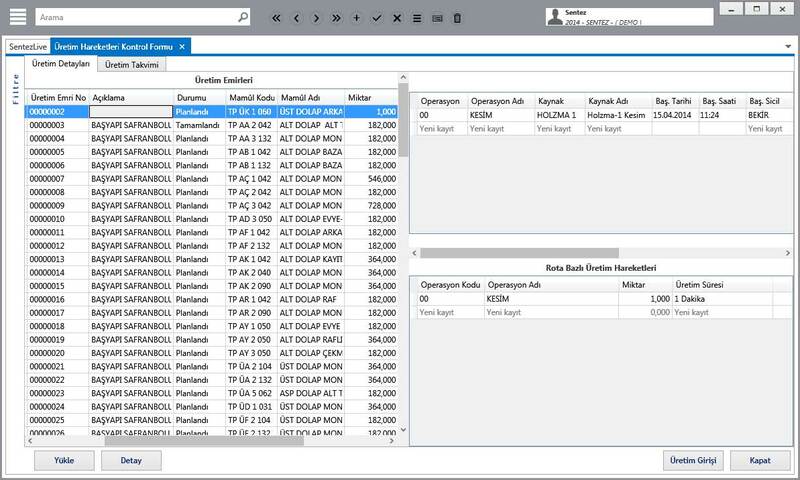 You can automatically get cost of production order thanks to allocations and raw material consumption. You can make cost of recipe and you can make analysis of profit on the basis of different kind of currency. You can get prime cost and real cost tables on the basis of work order/order for compare. In the process of enterprise resource planning, LivePOSITIVE lends assistance to account correct fixed asset at a level of investment. For companies, accurate planning and managing, made by investment’s return increasing of performance are important for companies’ productivity raising. Unnecessary or underinvestment can preventable so Live Positive provides to decreasing initial investment cost. Fixed assets lifecycle, ensure to track uninterrupted fixed assets from purchase to sale or until scrapped. 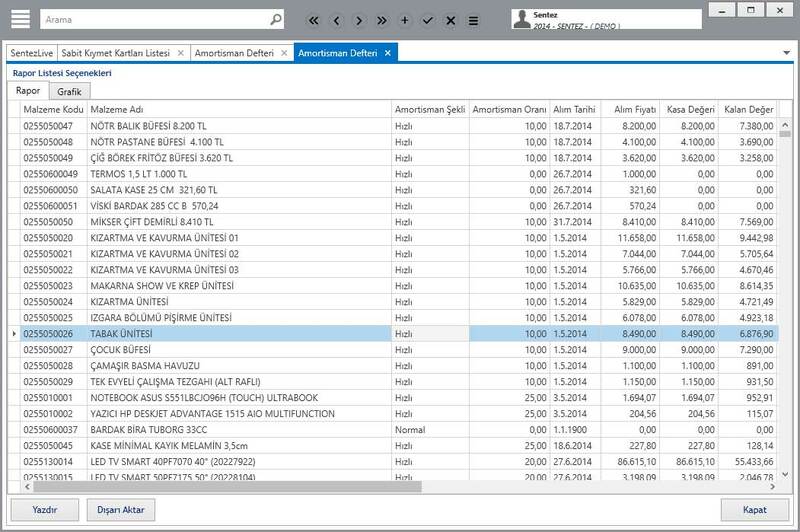 Live Fixed Assets can track location, debt, expense center that can ensure keep moving history. Therefore, prevent illegal and lost . 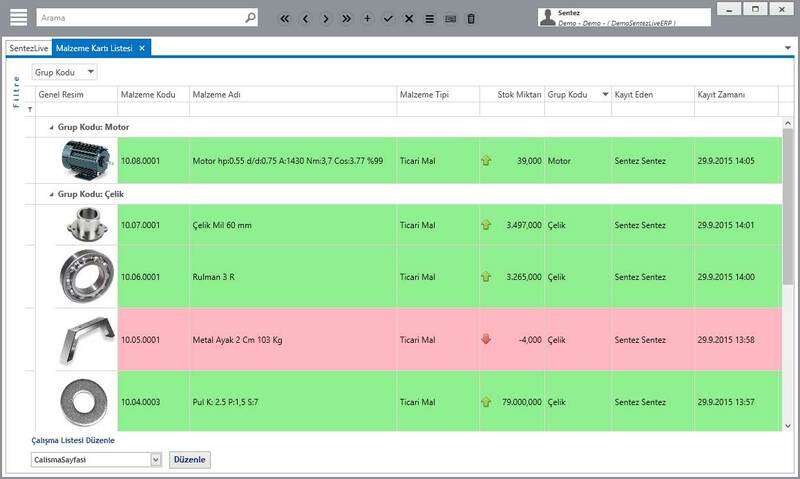 SentezLIVE fixed assets ensure to track guarantee and insurance information. It ensures to make valuation transaction and accounting of daily, monthly, years amortization. It ensures to track fixed and movable assets by grouping. Every group ensure method of calculation special for own. It track all fixed assets date such as; price, delivery cost, pre-valuation and market value, accrued depreciation, and net value information. Finally, ensure to follow up maintenance and cost belonging to fixed asset. This module can; defining business processes of between of company departments and create confirmation, warning and error messages in between the processes. -ensuring to transmit as business to be transacted and information to right person at right time with process’ modeling. 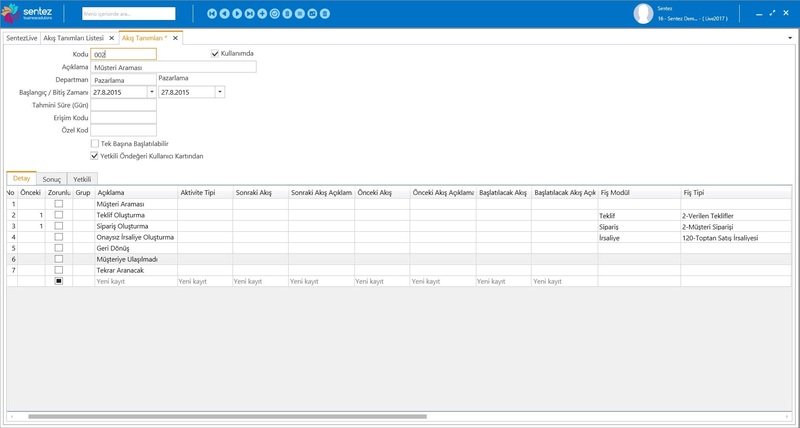 -plan sequential works to do depending on rules and automatically giving to users. 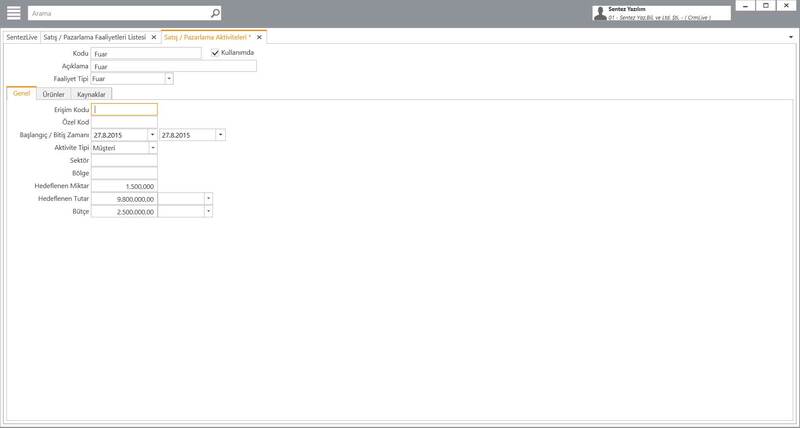 -assign a task to users because of this module has duties on order, delivery, billing and the other processing works. -define module that using while assignment workflow. -decreasing losses to minimum from user errors. For personnel, you can define personnel and price information opening registry card. You can follow up registry picture on card. You can calculate as gross or net to payoff on the basis of monthly, daily and hour at choice. You can send to Social Insurance Instituton information at electronically created. 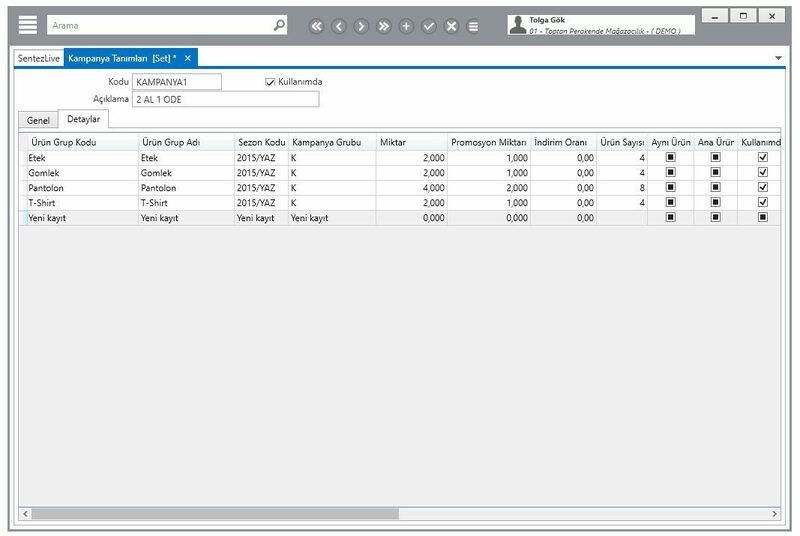 You can add custom formulas to additional payment and cutting. 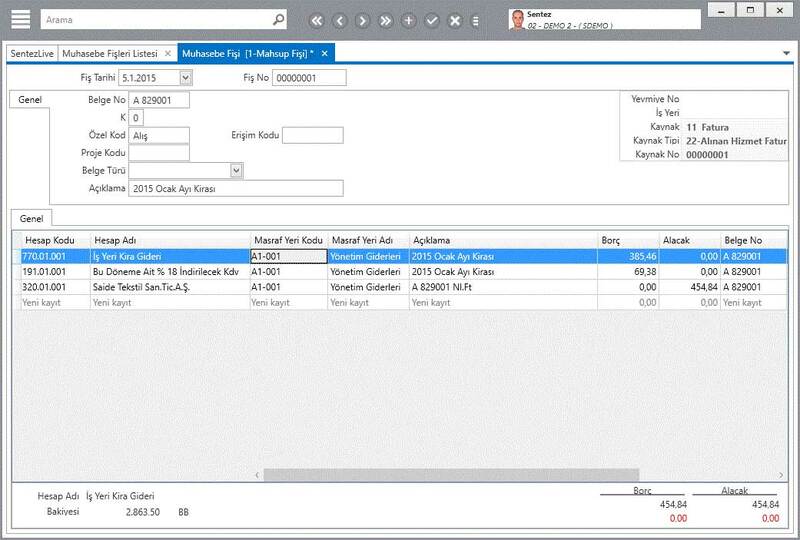 In addition to, you can transfer automatically into accrual and pay roll operations. You can do employee follow up based on department. You can keep registry information of the person. End of month transfer can getable and take back end of month as required. You can prepare add envelope as you want in month. You can get lacking of working reports, extract and Social Insurance Instituton. You can receive documents of insurance declaration forms monthly and four months. You can receive addition-1 and 2 input and output declaration’s document of preparation form by program. 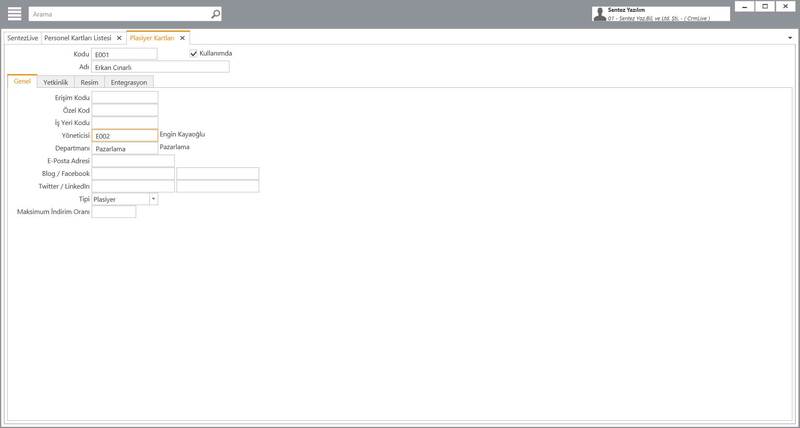 You can design optionally unlimited report and form through report and form generator. You can make optionally accruals and batch checking based on department. You do not have to enter again payroll information through PACS (Personnel Attendance Control System) integration. 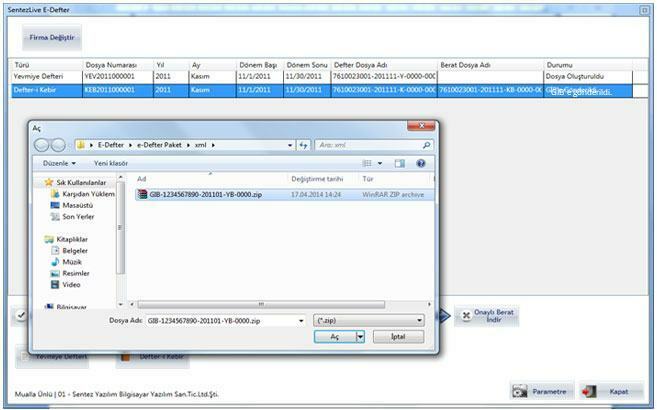 You can carry out automatically to SII e-declaration into program. For making payments from the bank, you can produce electronically by preparation bank payment information. You can make automatically the cutting accounting of accrued wages of employee. Customer relations management is not just meaning manage customers and watch customer behaviors also means development a relationship and perform much more getting potential to generate income. impressing customers by communicate with them closer and more personal. All this definition has the same point which is trying to deal all the time with your customers instead of making a lot of different definitions. Actually all these definitions are defining as “customers are our benefactors”, which is now forgotten perspective and to make real again. We shouldn’t forget that all work processes in business actually related to customer and build the system according to this idea. We should communicate and listen customers in all process. The most important tool we have high technology while improve all this. Expected outputs of successfully performed CRM system can be assuming as better and faster customer service, more loyal customers, less loss of customer and easier gaining customer. Customer relationship management is used in customer touch point by front office of ERP system which is called “Operation department” as telephone interview for promotion or other and sending e-mail. “Analytic” department which is also called back office or strategic CMR is contains works for understanding customer behaviors. Results of this analyses used for determine current customer profile and make a decision accordingly. 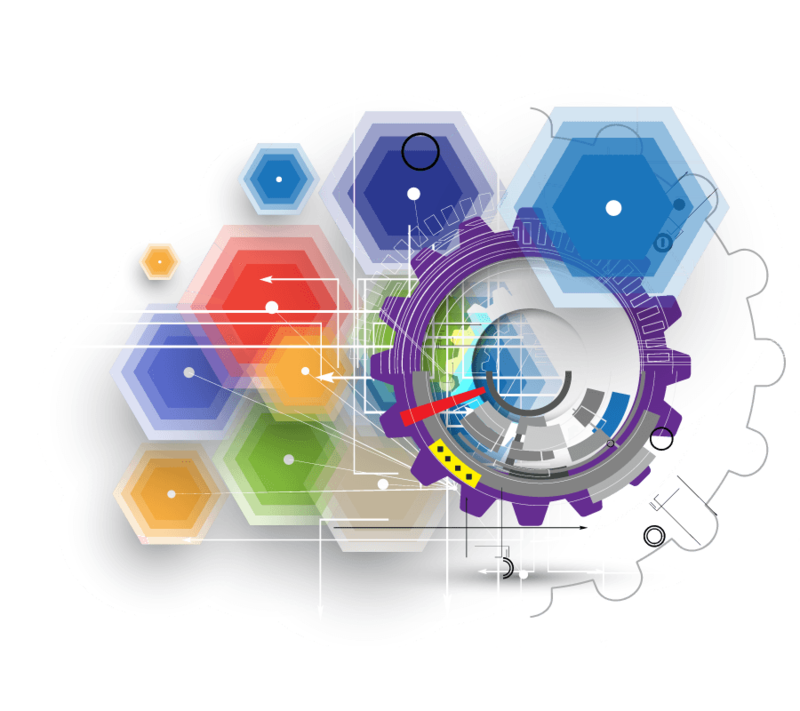 Business intelligence analysis models being used extremely, while in this analysis and prediction works. Live ERP provides to manage work process step by step. 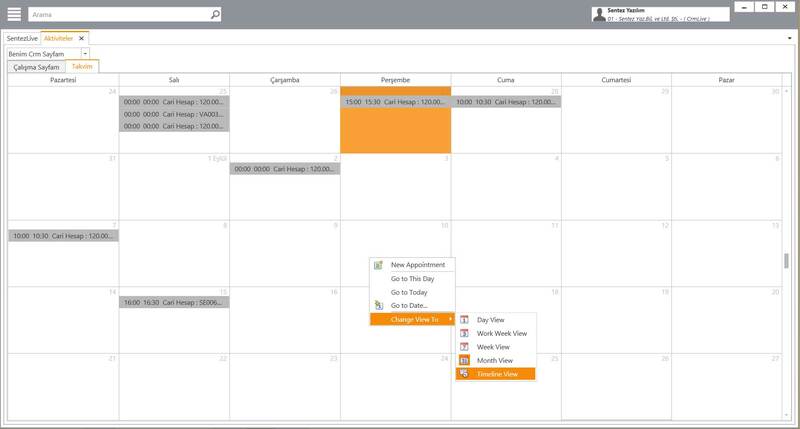 You can plan meetings and presentations of product thanks to calendar provide by activity management tools. You can follow up and collectively plan the sales team. You can warn your staff member before important activities thanks to reminders. 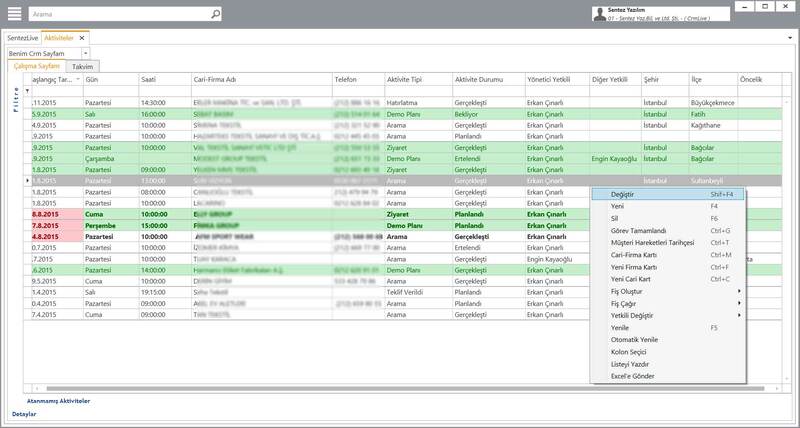 You can prepare reports for results of actual activities. You can follow up customers and potential customers who are interested in your product or services of opportunity management. Also you can follow up forecast budget and potential competitors. 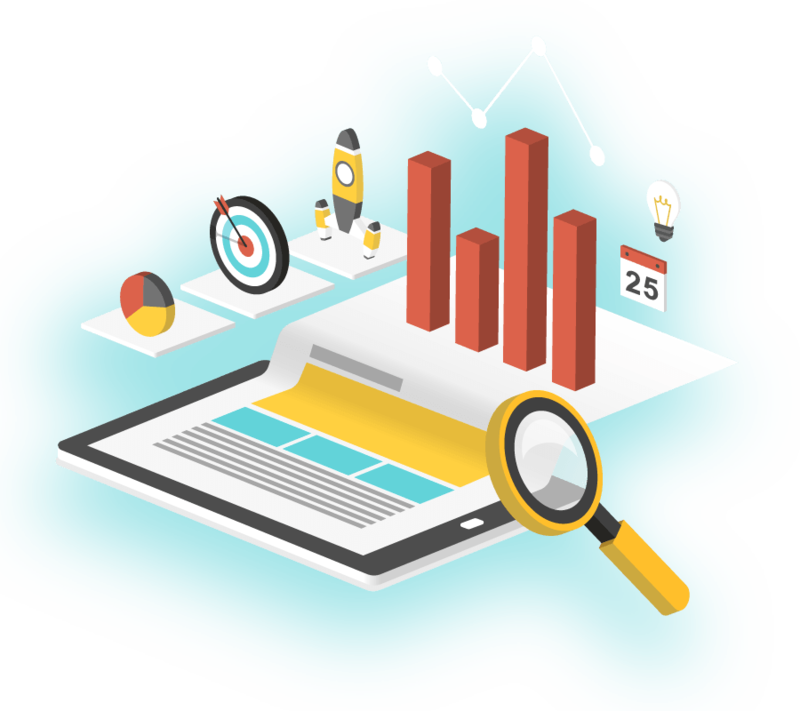 With all this information you can get more accurate sales forecasting. You can locate making the most loss in which step of sale process. You can make performance measure on the basis of sales personnel. 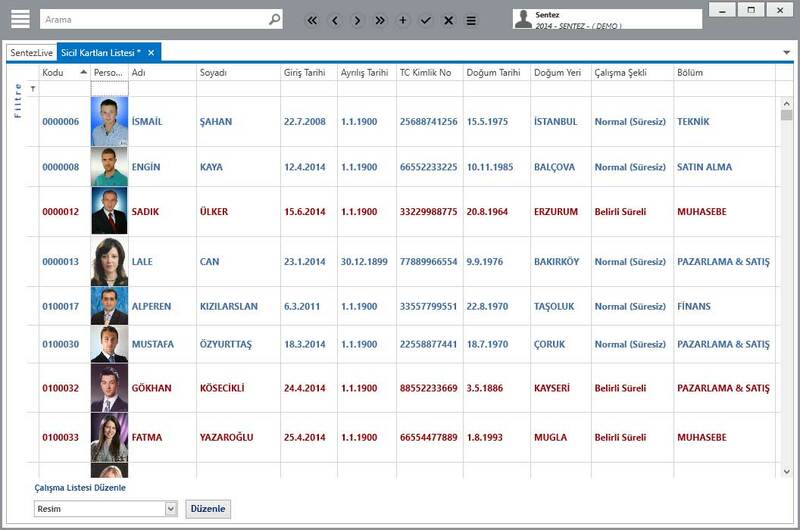 You can follow up how many making contacts and how many contacts be cancelled by which personnel. You can compare opportunities between each other in specific area at specific time. You can get average duration of sale and you can compare this duration with sectoral change of this duration. 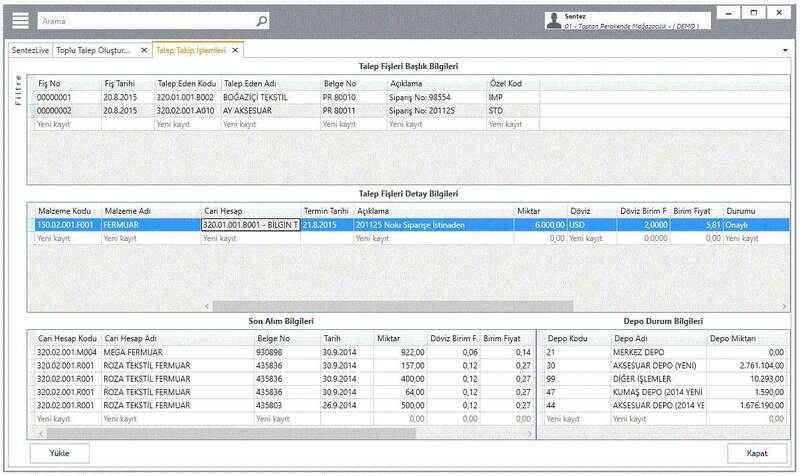 OLAP cubes are the most important tools for analysis customer movements. OLAP cubes provide to analyze multidimensional analysis cubes processes in different perspective. Also, provides to do customer segmentation and investigate connections between products. You can examine movements of previous period for make a prediction. You can analyze customer behaviors for if they doing it in order. You can determine product group that similar to each other. By this way you can determine product sold together and you can do more feasible a marketing activities. With increasing competition, only information correct gathering is not enough for making quickly and in time of correct decision and putting into practice. For companies’ performance improving, accurate reporting, presented of their analysis and indicator board is need making actual. 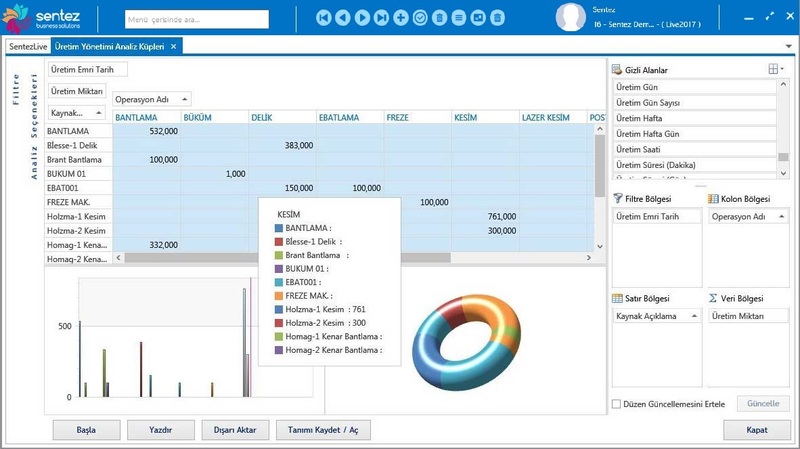 SentezLIVE ERP Business Solutions Platform was designed a business intelligence including with all modules. It provides necessity information that every user must make a decision in system role for taking right time of decision. 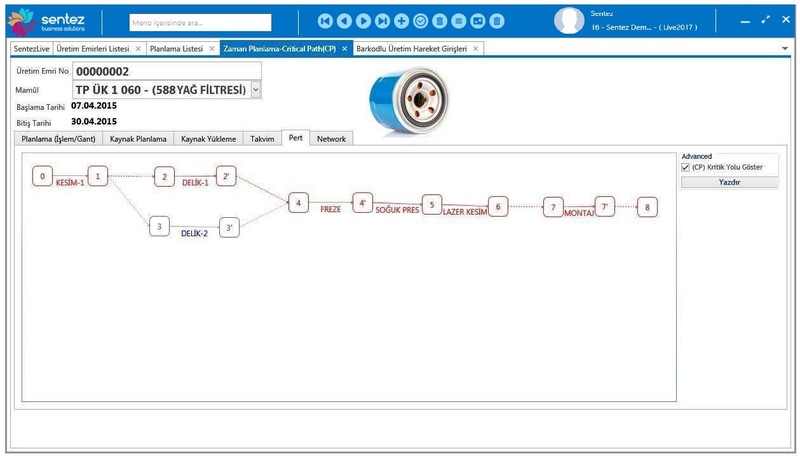 According to flow of information application structure, display panel is to be provided through analysis cube or reports. When users notice a problem, user can reconnoiter detailed and can interfere annihilation a problem. Rapidly-developing mobile technologies at the present time, it provides to ingenerate work models that change structure of businesses. Through presented mobile solutions of SentezLIVE ERP Business Solutions, you have opportunities to any mobile device access anytime you want and from anywhere your enterprise resources with business manner. Therefore, Live ERP provides to take advantage of maximum from growing technology. You can make processes such as counting, spot counting, receiving, packing, delivery by using industrial handheld terminal thanks toSentezLIVE ERP mobile solutions. 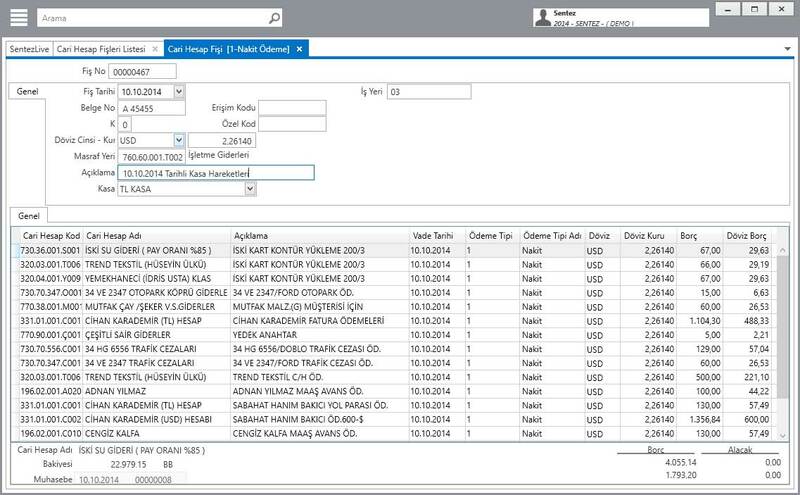 Sales in vehicle easily use for order operation, collection operation and writing bill and receipt of payment. You can use this sales and distribution in vehicle solutions. 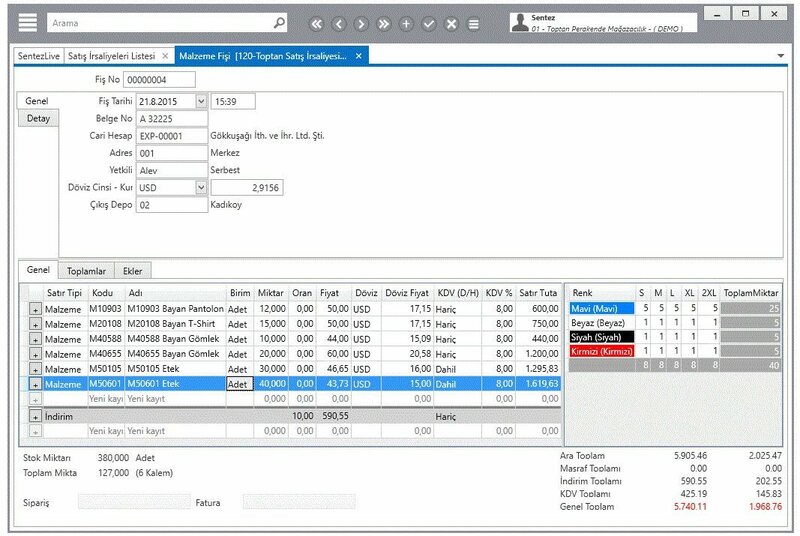 You can perform easily wholesale and retail processes with matching tools. Waiters can easily perform taking order, following table and reservation with mobile devices thanks to mobile restaurant solution which is working in the same platform as restaurant management system solution. 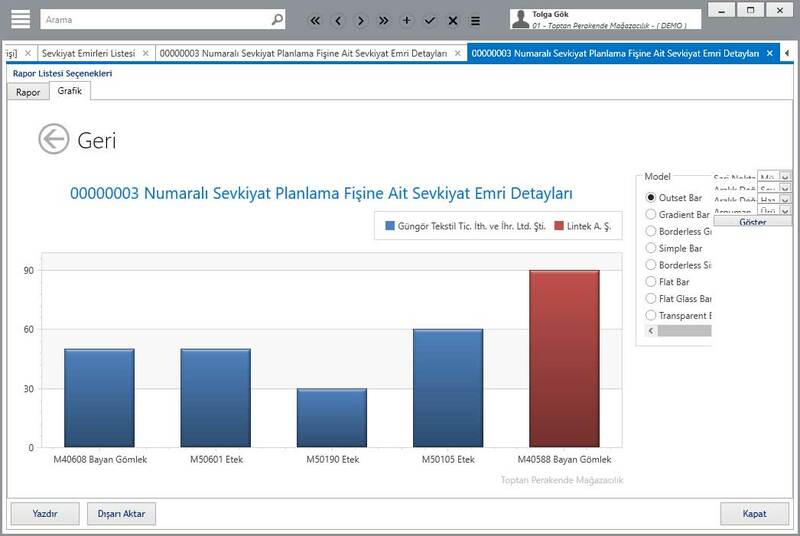 With SentezLIVE ERP Replication Solution, far location can manageable without connect to internet! 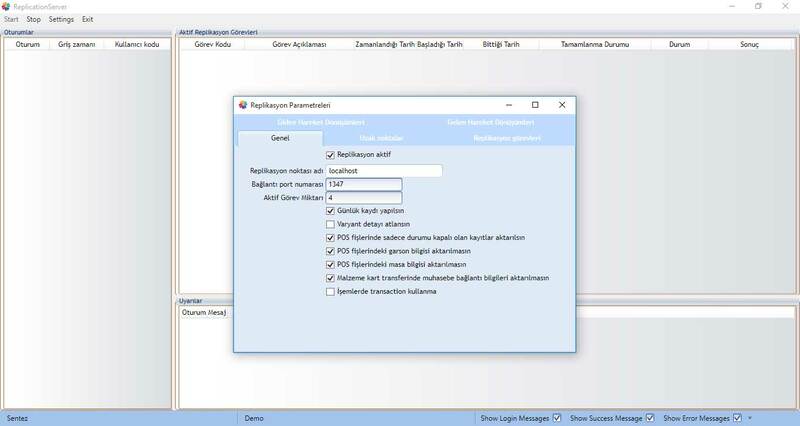 You can transfer automatic data between databases instead of remote desktop connecting with SentezLIVE ERP Replication Solution. With this method, different location stand-alone systems transfer automatically data to center with internet connection. Without internet connection, independent location can work own on databases. When the connection is re-established, data transfers materialize automatically. In multipoint retail sales method, access providing of system is not useful with far to server of remote desktop protocol (RPD) by the reason of servers’ cost and fast internet connection. You can send customers’ describing, price information and all detail information of related product describing to sale point. 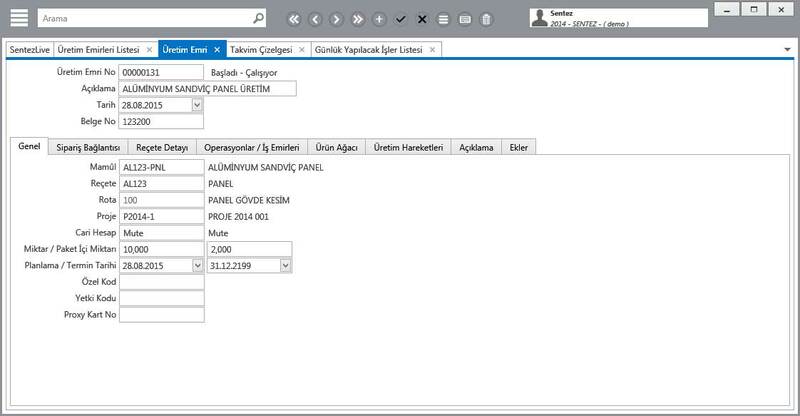 Therefore, you can manage products’ all information from center. You can provide transfer automatically information to center as cash movements, return transaction, turnover and retail turnover without the necessity of taking a action of users’. 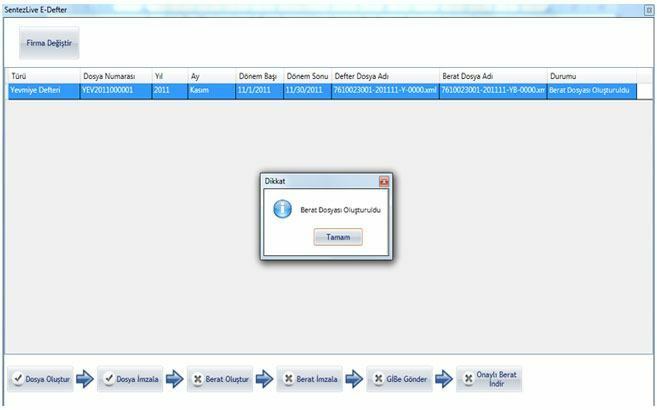 With SentezLIVE ERP Replication module, when the transferred material to the point of sale, you can provide to one touch all necessary transaction at both points by questioning the open transfer plug of cutting on center databases. Also, you can use same transaction to material transfer between branches. 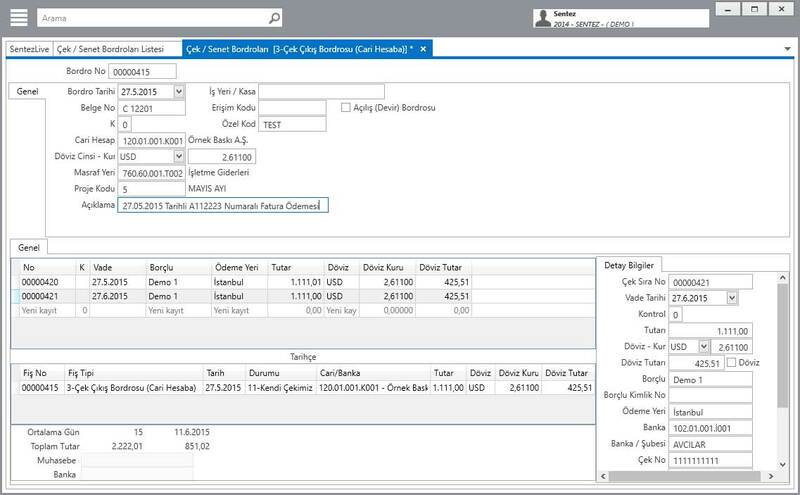 Thanks to SentezLIVE ERP Replication module, you can make easily the return of sales from a branch from another branch of the central database queried. In multipoint retail sales method, you can send one touch all transaction generated your side of far location as order, sales and cash transaction center from branch or center from branch. You can make other necessary transaction. 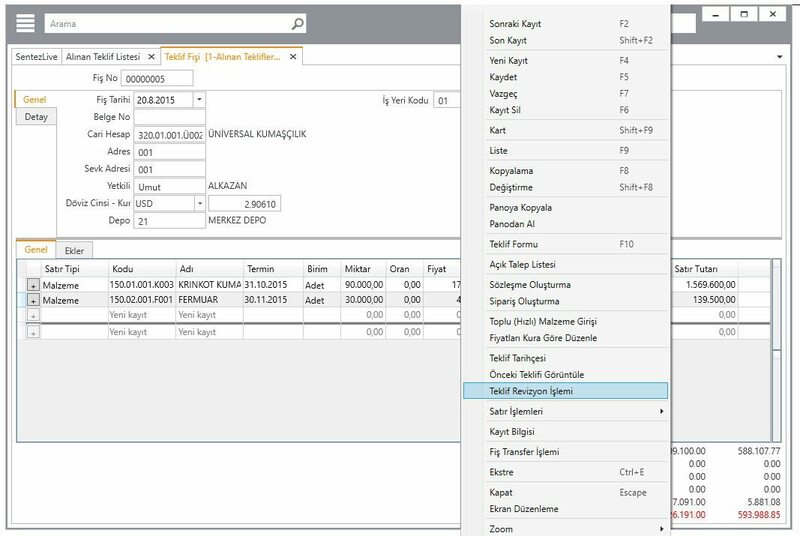 According to the tax procedure law with the 421 sequence number, finance ministry obliges many sectors to use the electronic e-ledger and the e-invoice application. This application which is a requirement for companies provides establishments with many benefits and convenience. Saving which is the most important contribution provides companies with the ease of implementing invoicing and ledger processes in the electronic environment and using the resources allocated for these processes for more important operations. While producing our solutions, we value greatly implementing these applications that support our primary philosophy which is using resources efficiently. By means of e-invoice applications, your invoices are now delivered to their recipient faster, more reliably, faultlessly, and the invoices organized for you are transferred to your data base in seconds, which enable you to save time and effort when you spend your energy to control and report. * reducing the failure risk to the lowest level. * saving the company from the press and archive costs. * reducing the work power costs. 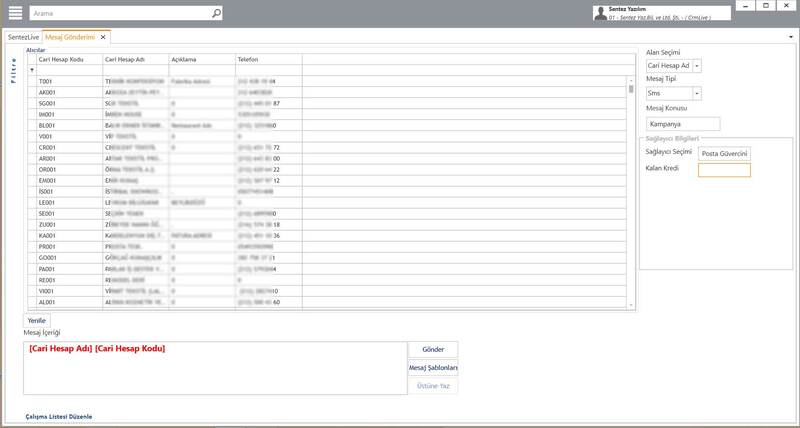 * the ease of access to invoices in archive in seconds. * spends 57% less than the paper invoice. * the cost of getting invoices is 62% less than the paper invoice. * it saves 2% at the rate of the total sales. The tax payers that will choose this method mustn’t make out 5.000 invoices monthly. If you make out more than 5.000 invoices monthly, you should prefer one of the two other methods. 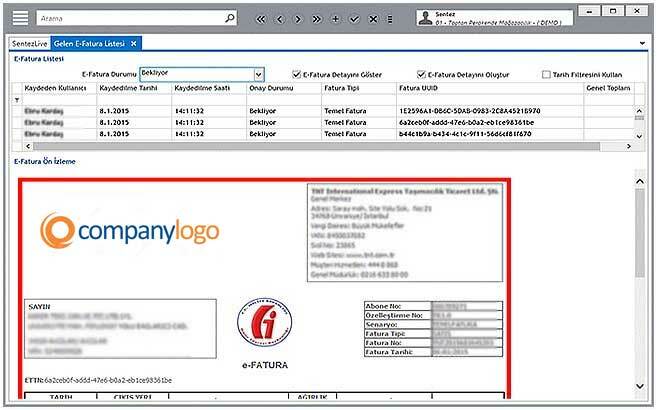 The first method is that you can register your invoices manually by using the e-invoice portal services in the www.efatura.gov.trweb site. When you use this method, you have to register your invoices both on the portal and the ERP system you are using separately. 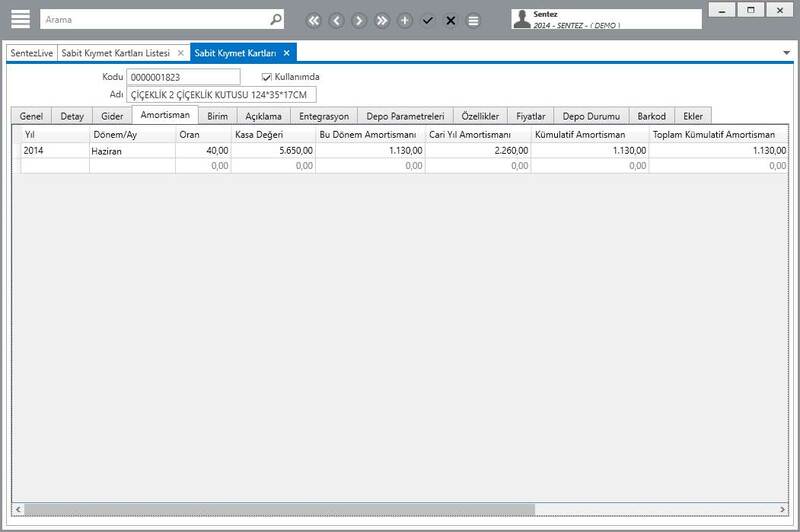 The second method is that after registering your invoices on the SentezLIVEERP System, instead of printingthem, you can make your invoices ready to be registered on the portal by creating an e-invoice. 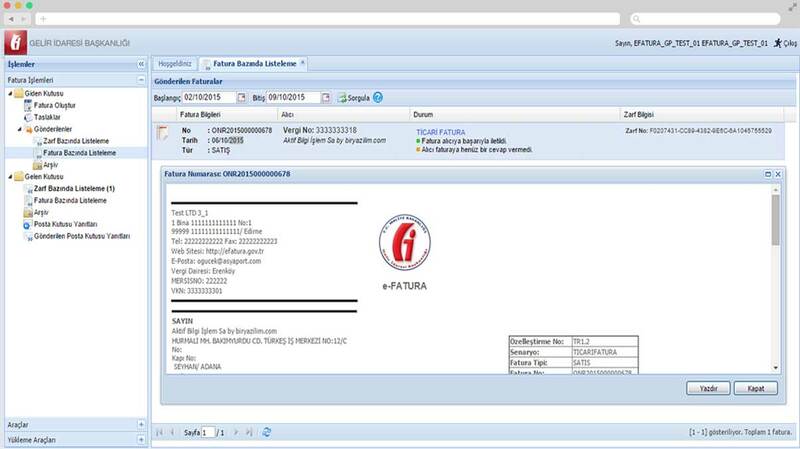 After that, you only have to upload your files to www.efatura.gov.tr. The tax payers whose IT capacity is not sufficient or who preferably want to work with a special integrator can switch to the system of the companies that took special integration permit from GIB. 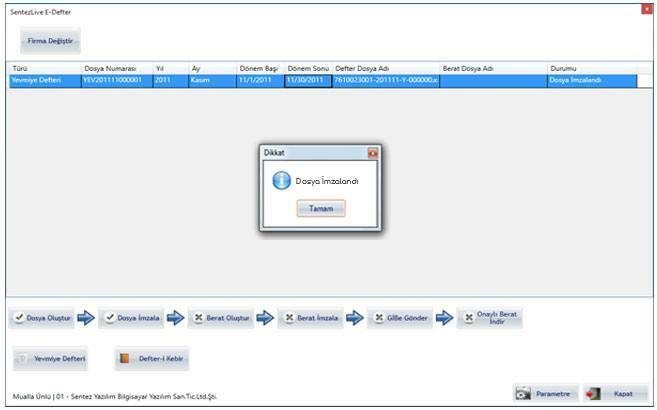 If you prefer this method, we can enable the integrator company’s system and SentezLIVE ERP System to talk to each other. 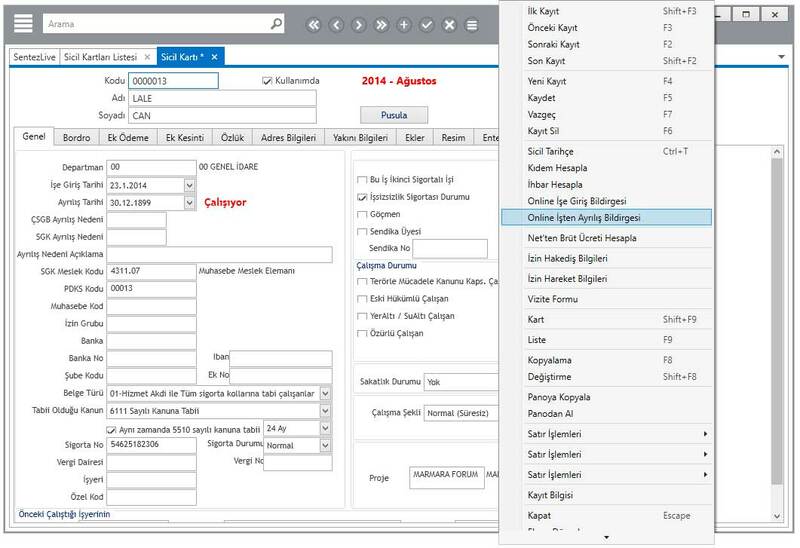 We can automatically send your invoices in the form that complies with the EBRS (Electronic İnvoice Register System) via web services in the structure that the integrator company demand. 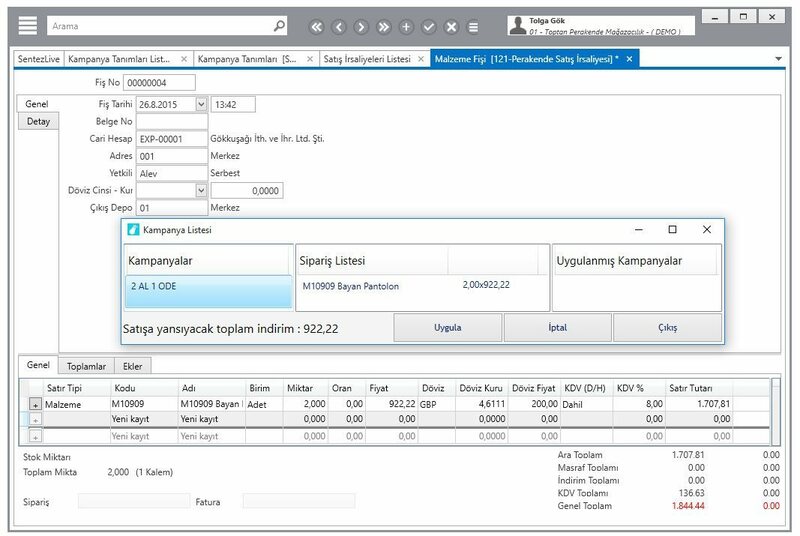 By means of this method, after you register your invoices on the SentezLIVE ERP System, instead of printing them, by creating e-invoices, you will be able to automatically send them to the integrator company..
Companies that use their IT systems 7 days and 24 hours can directly have integrated to the GIB system. 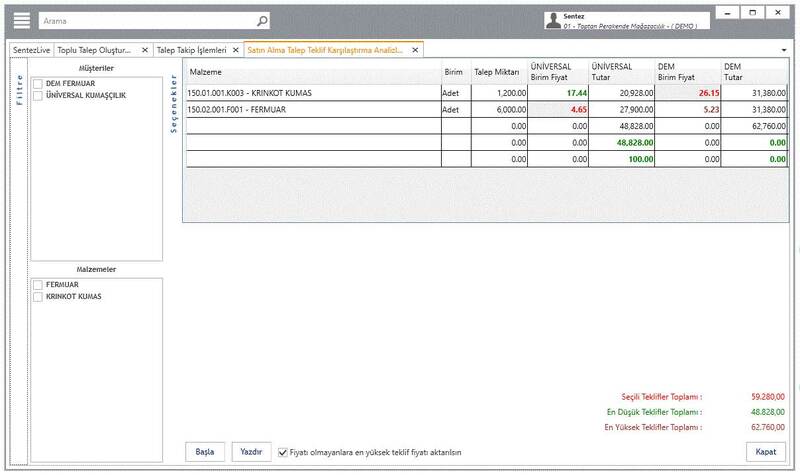 In this method, you can register your invoices on the SentezLIVE ERP System. 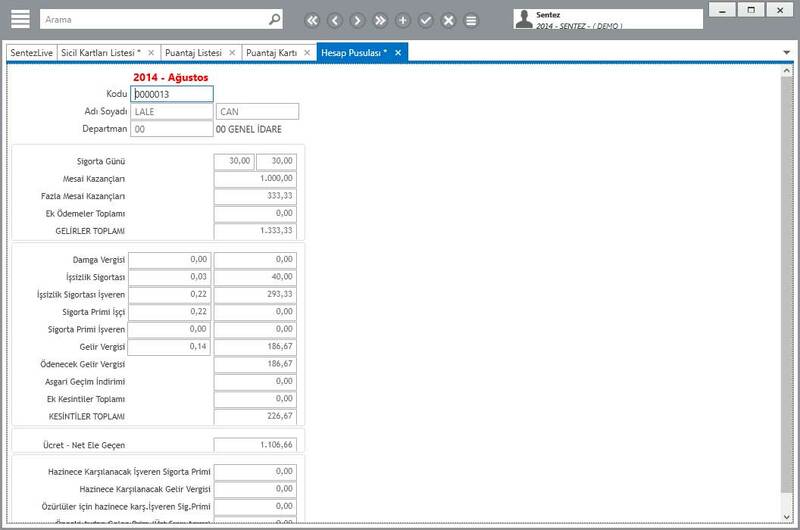 Then, instead of printing your invoices you can create e-invoices and automatically generate an XML file. Lastly, the invoices created are enclosure and sent to the GIB system directly. In this method, all the processes such as getting or giving a conformed/rejected response and archiving are implemented independently on the SentezLIVE ERP System. If you prefer this method, the IT system report and other forms you have to prepare your company can get consultancy. Now you don’t have to print the all e-ledger for days! This application, which is a requirement for companies, actually brings about many benefits and provides so much ease. With the e-ledger application, the ledger printing process that takes in the accounting department is now performed in seconds and precisely. Who will use this application? The companies who are using the e-invoice application have to use the e-ledger application starting from 2014. Other companies can optionally use it. How does the applying process take place? The taxpayers who don’t meet the requirements of the e-ledger book are given a VUK sentence. The taxpayers who have to use e-ledger can’t use ledger in the paper form. If they choose this method, their ledgers are not confirmed. E-ledger application is the all total electronic records that contain the information that is required to be in the books inaccordance with VUK and TTK and independently of the adjective law. What is the E-ledger charter? According to the principles and the procedures in the manifesto, regarding the electronically created ledger, it is the electronic file that has the information that meets the standards determined by the department and sealed with GIB financial seal. It is a standard in the XML format made to enable to e-ledger to be electronically prepared. SentezLIVE ERP To send the related ledger to the GIB, they are created quickly and practically after selecting the year and the month they belong to in the direction of the data inputted to the SentezLIVE ERP system. The e-ledger is signed with the e-signature/financial seal via the E-ledger book application. Then, respectively, charter creation and charter signing operations are performed, and it is sent to GIB directly through SentezLIVE ERP System E-Ledger Application. The charter file confirmed by GIB is saved back in the system and kept over the course of the legal retention period. 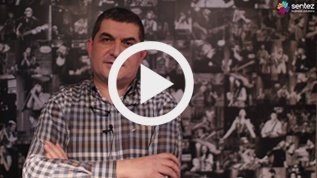 Watch customers’ experience related to Sentez Software with own expressions.